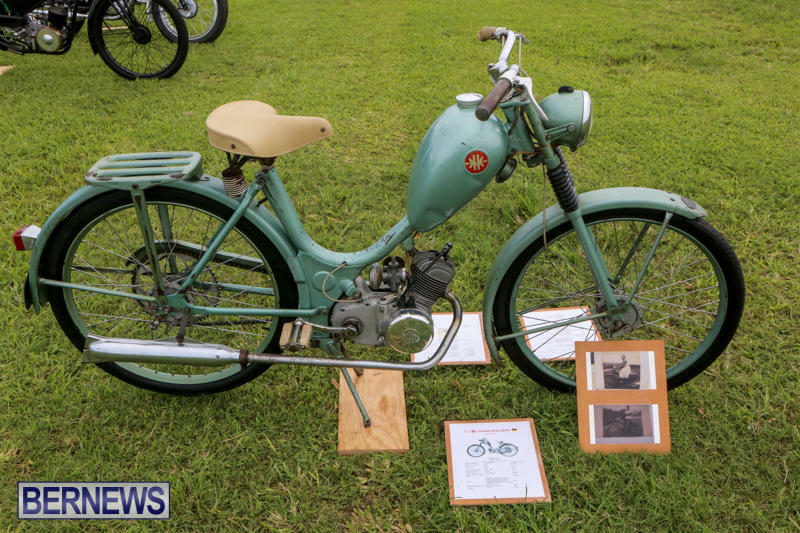 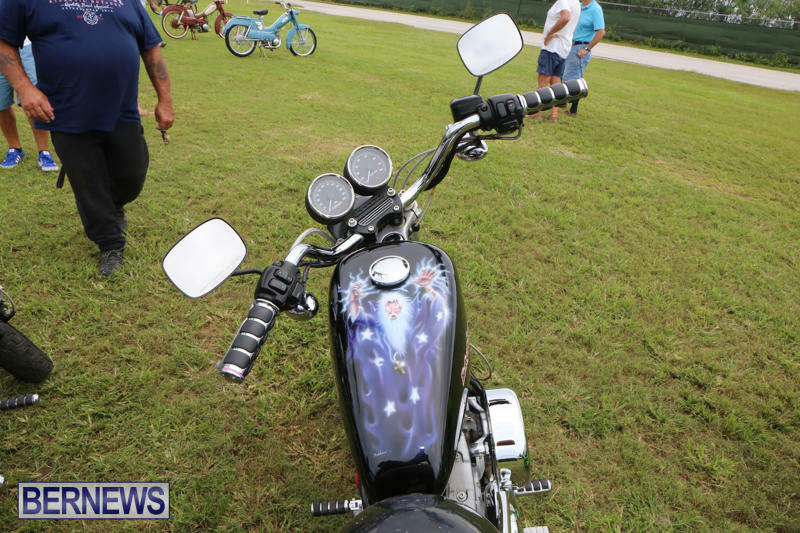 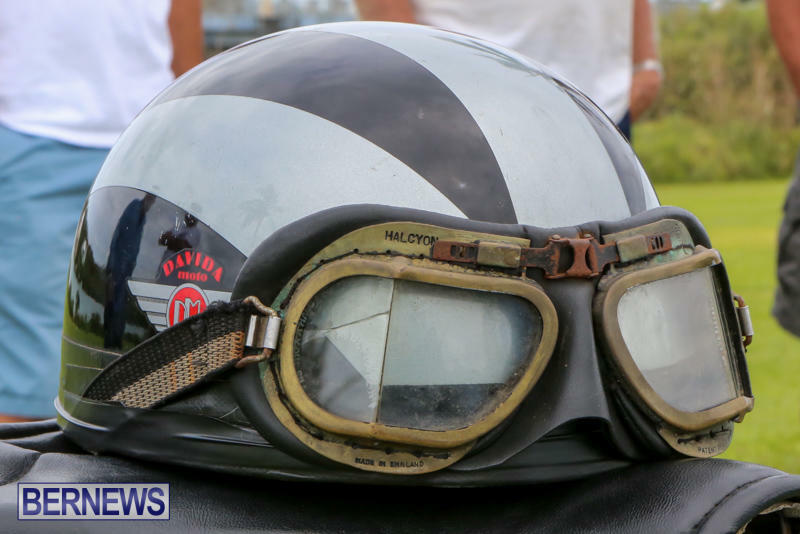 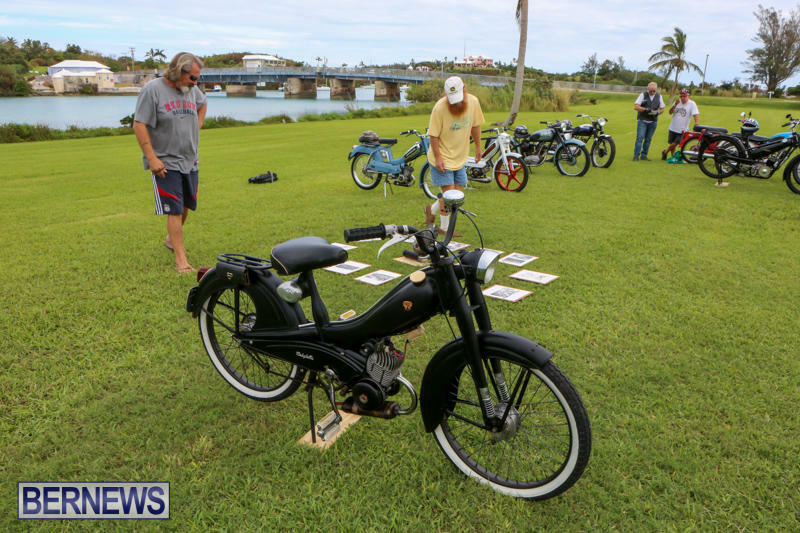 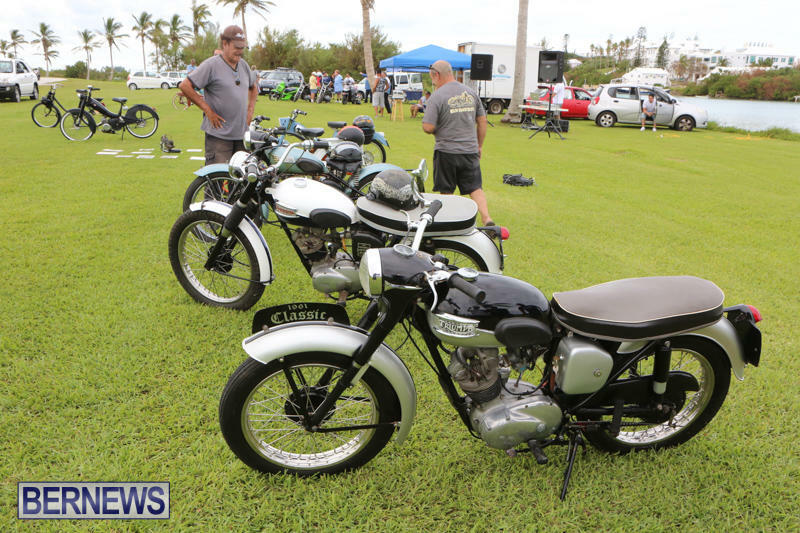 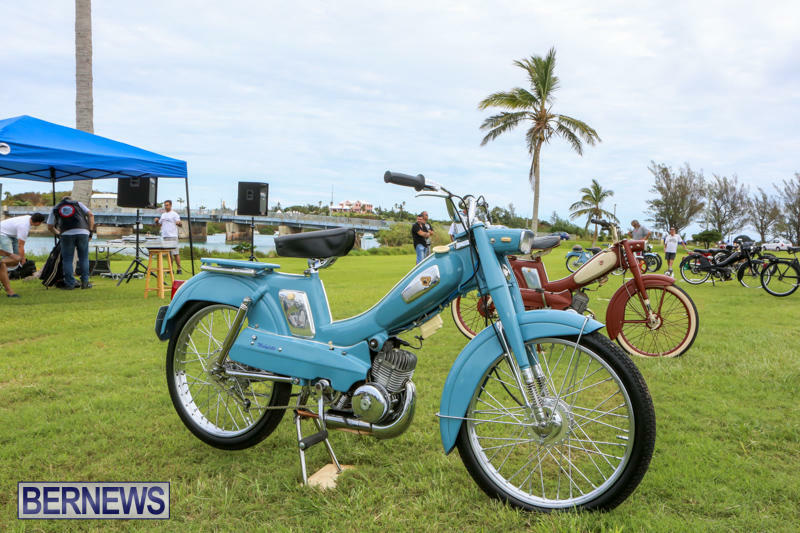 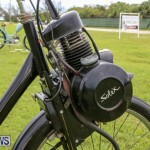 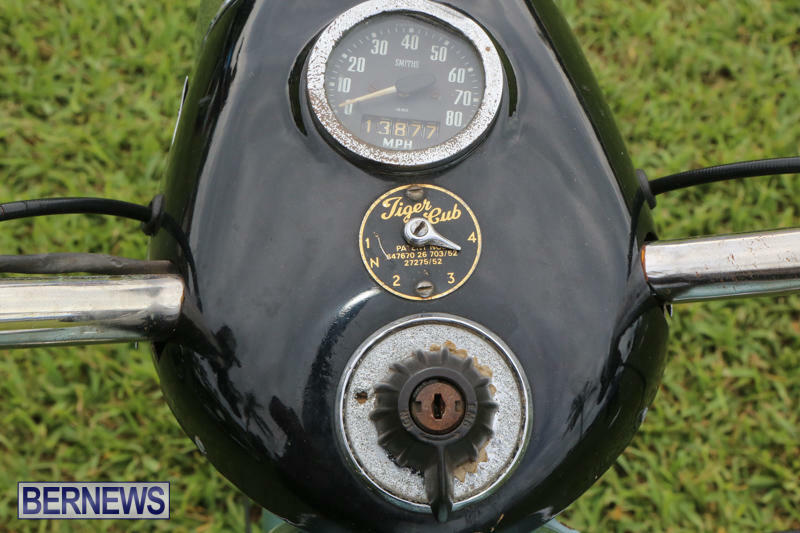 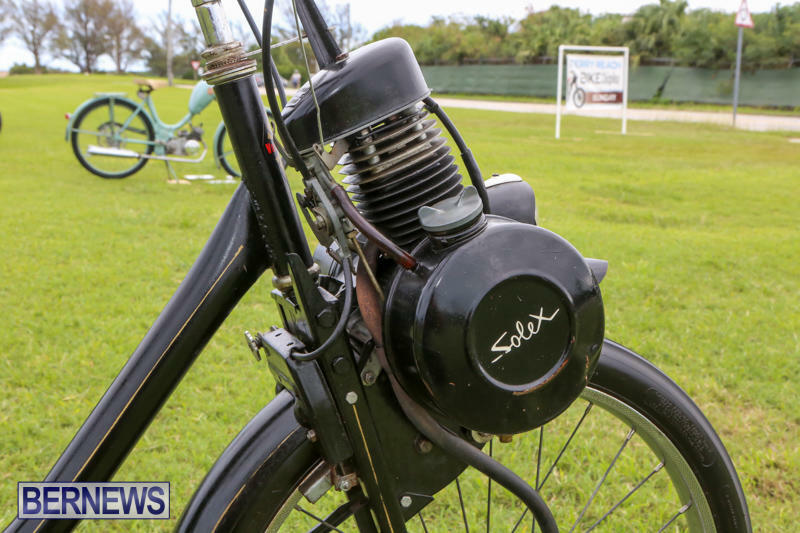 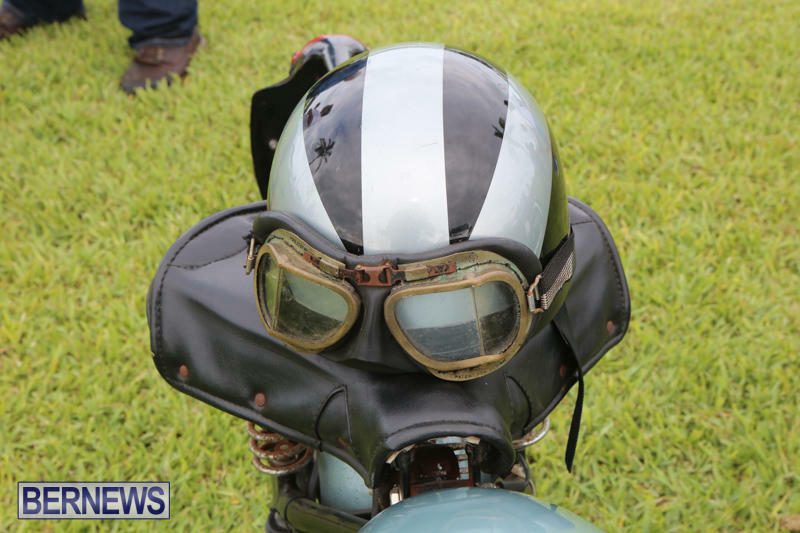 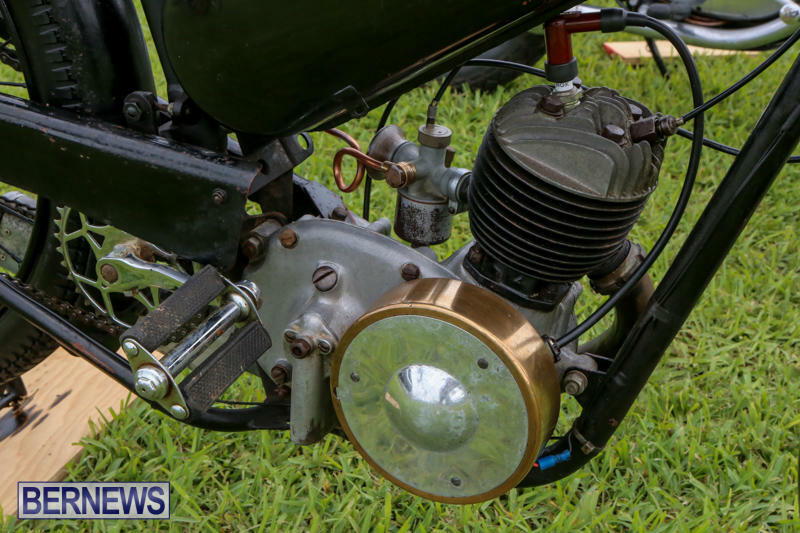 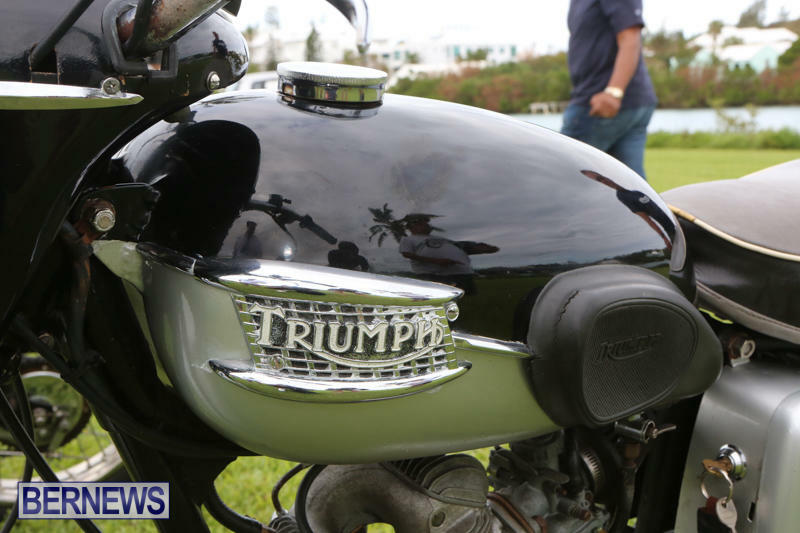 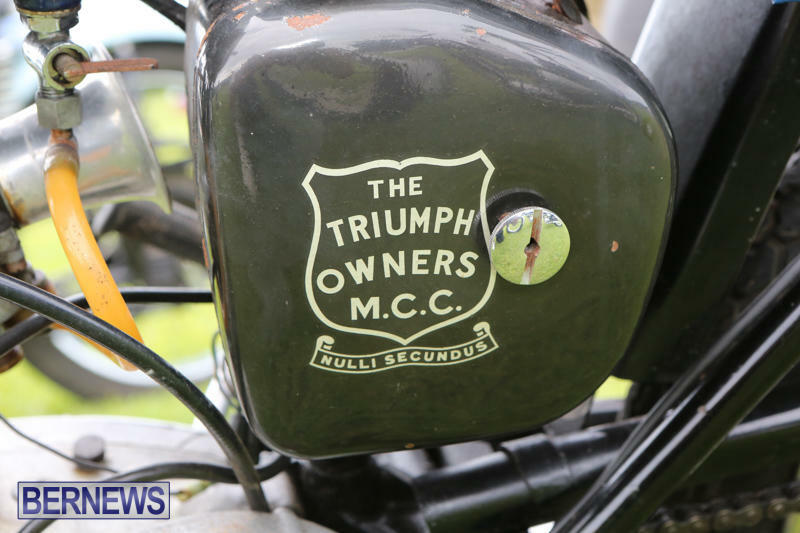 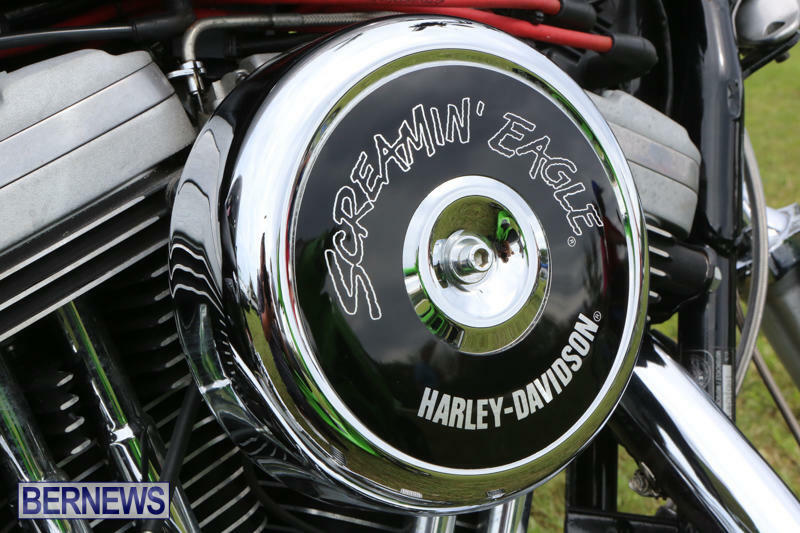 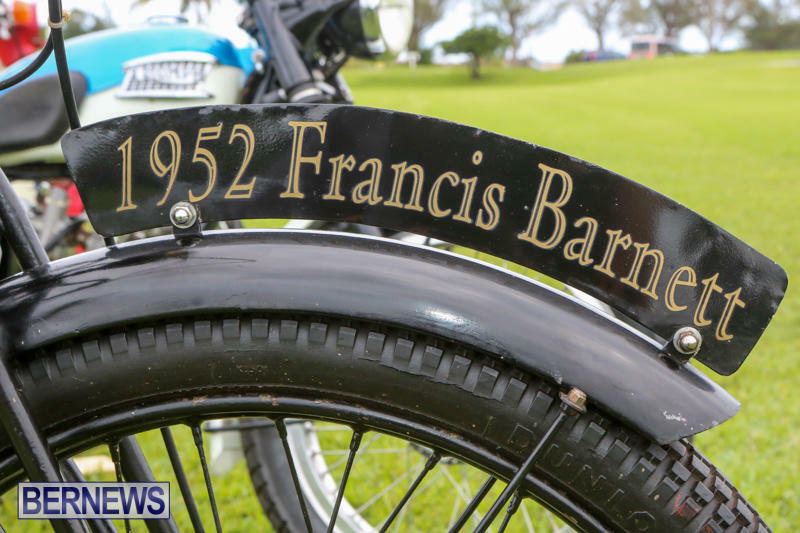 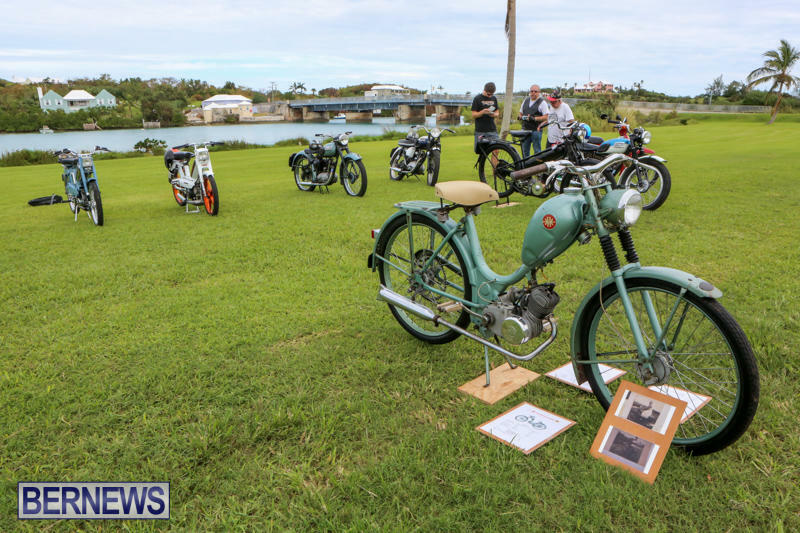 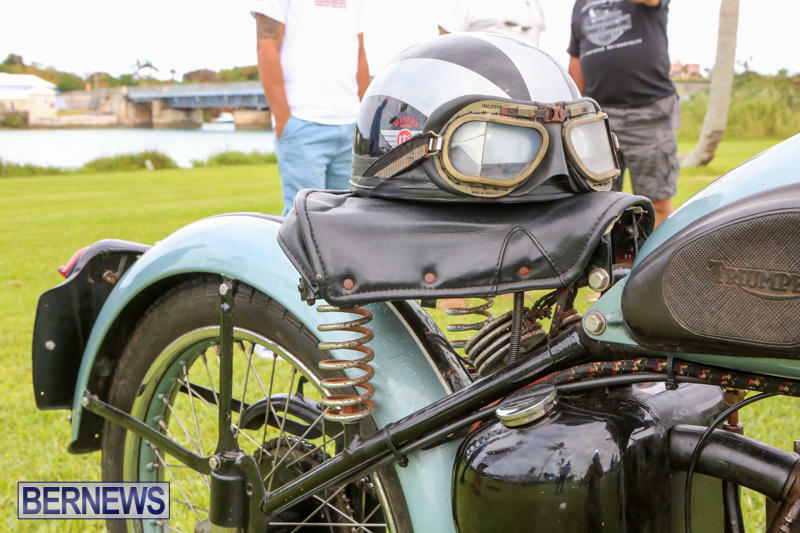 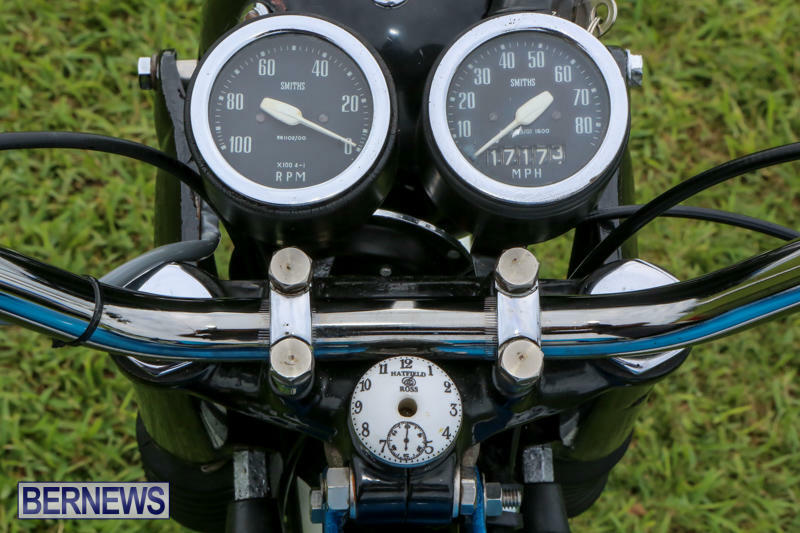 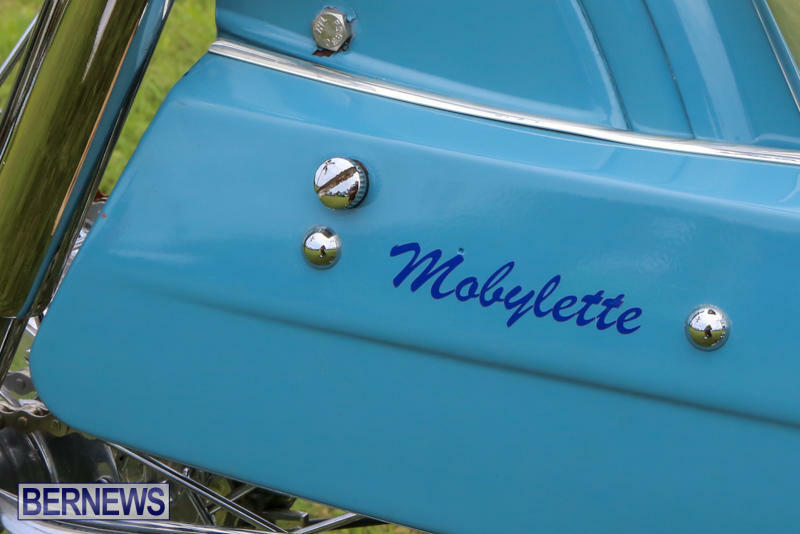 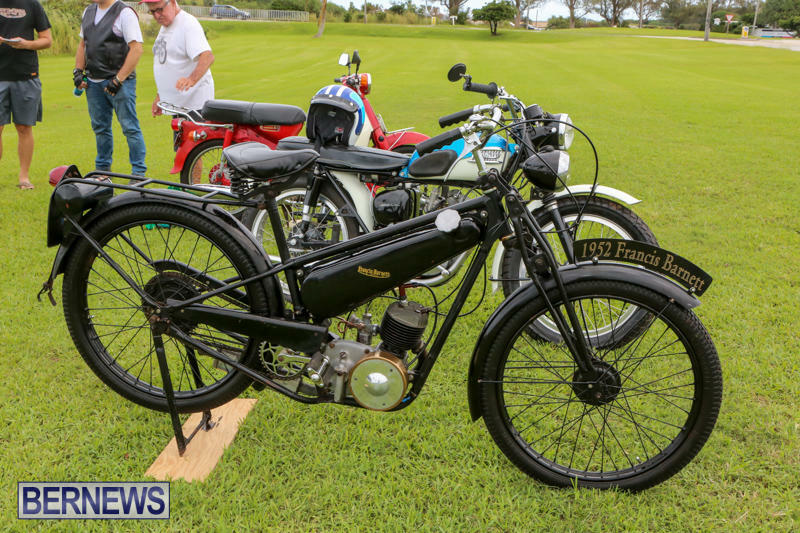 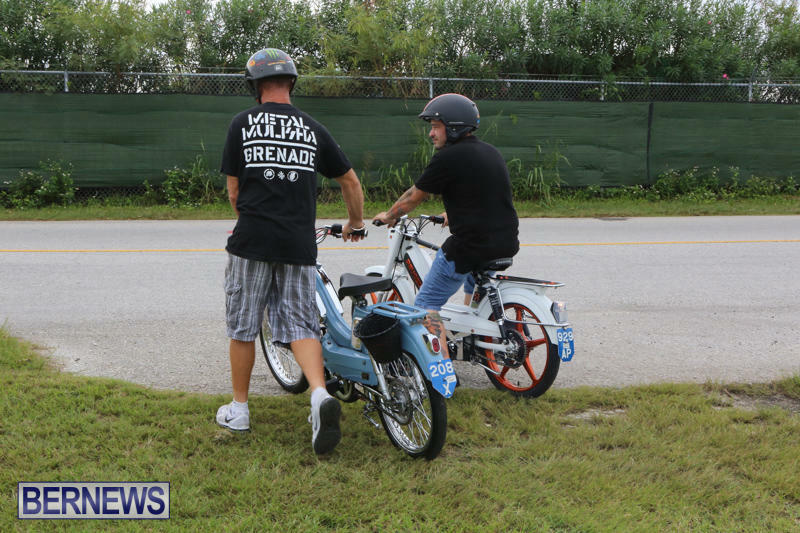 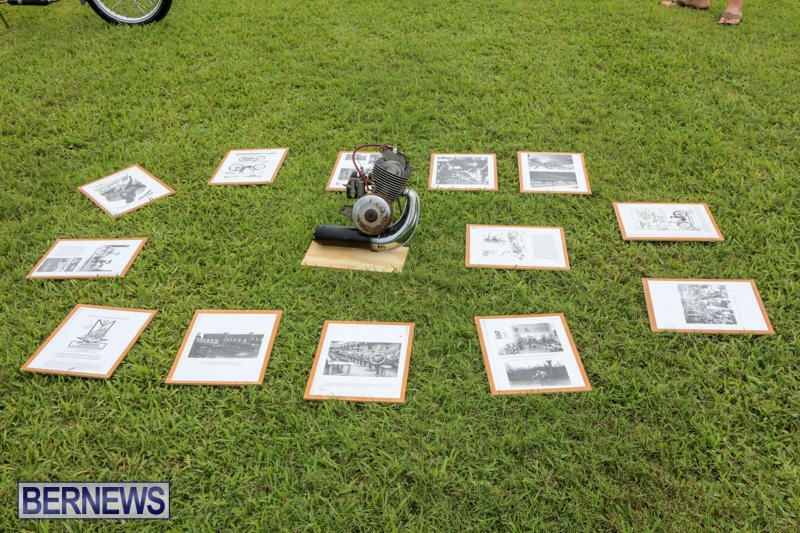 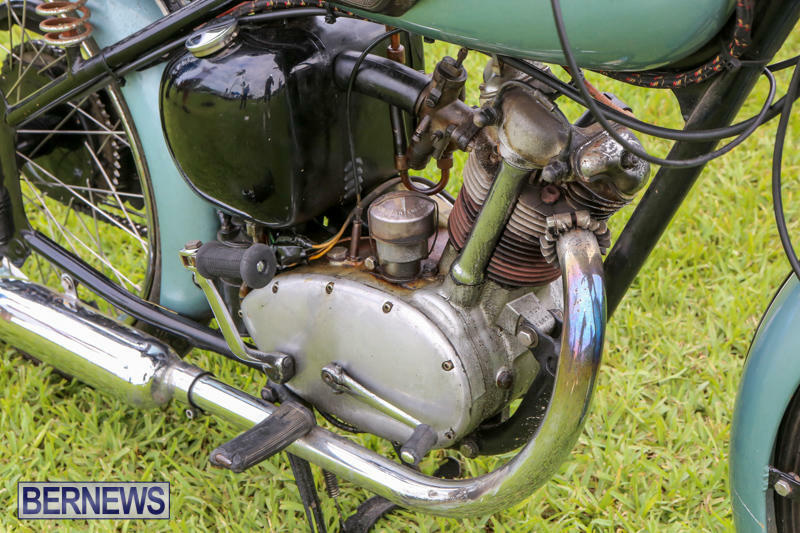 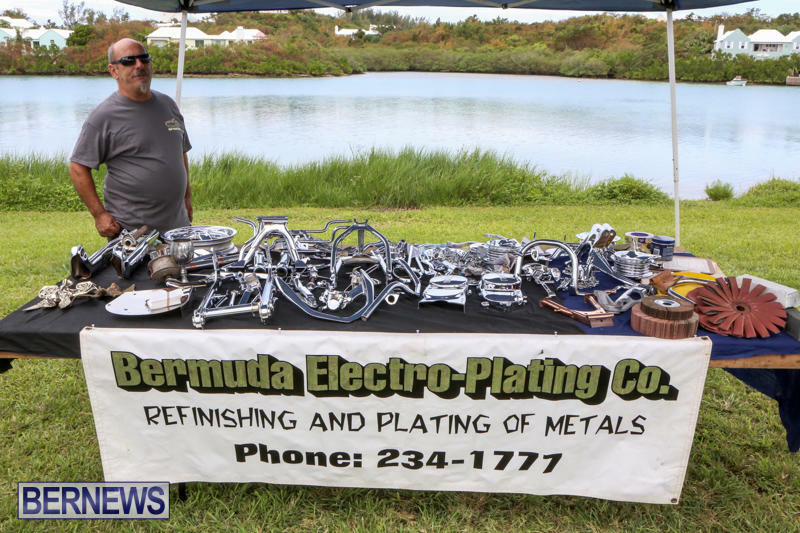 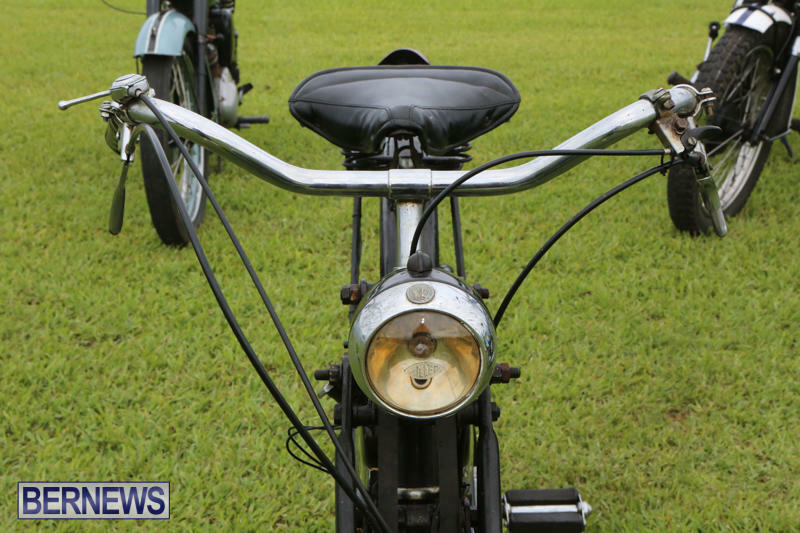 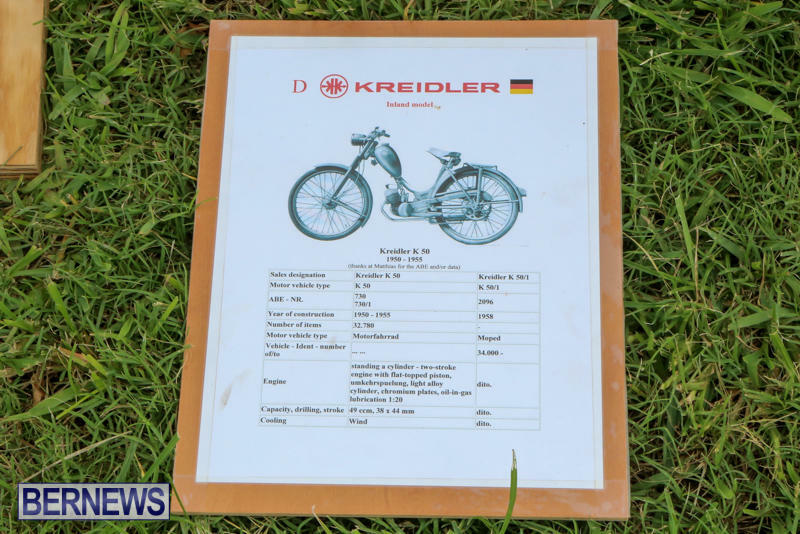 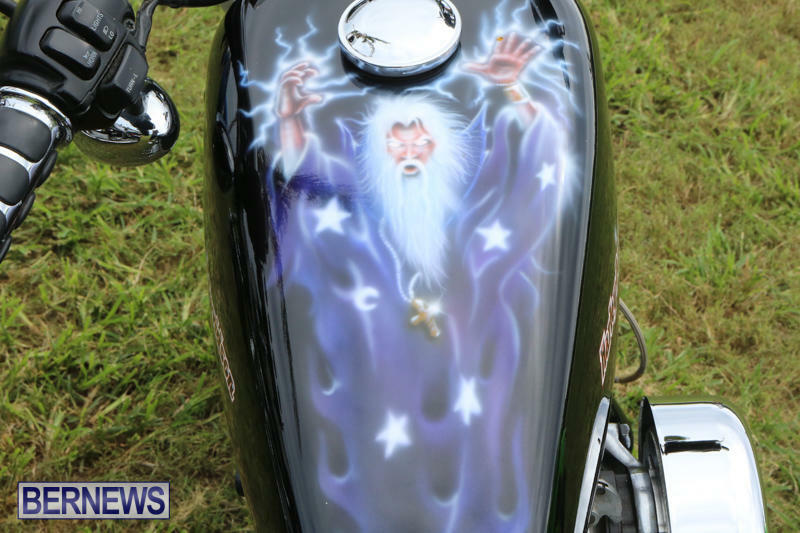 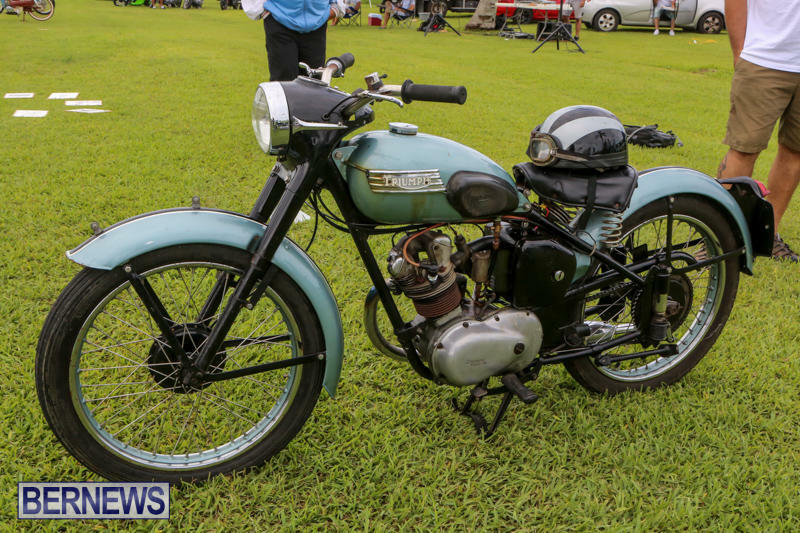 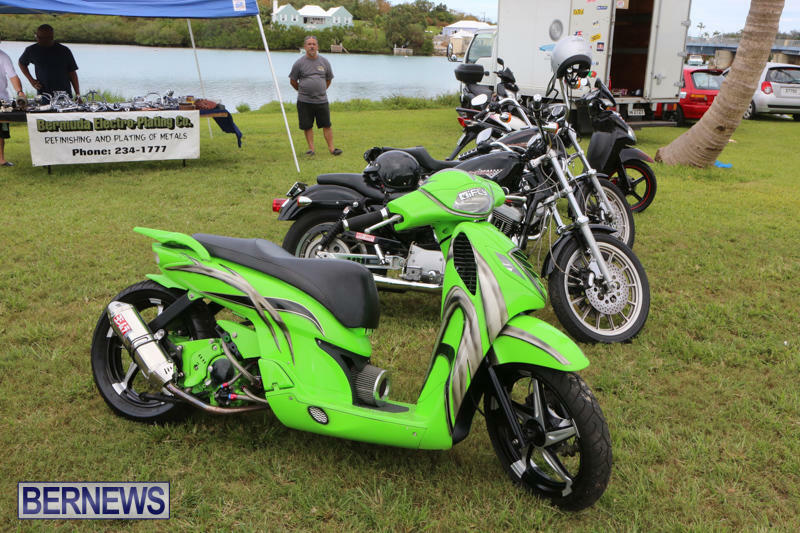 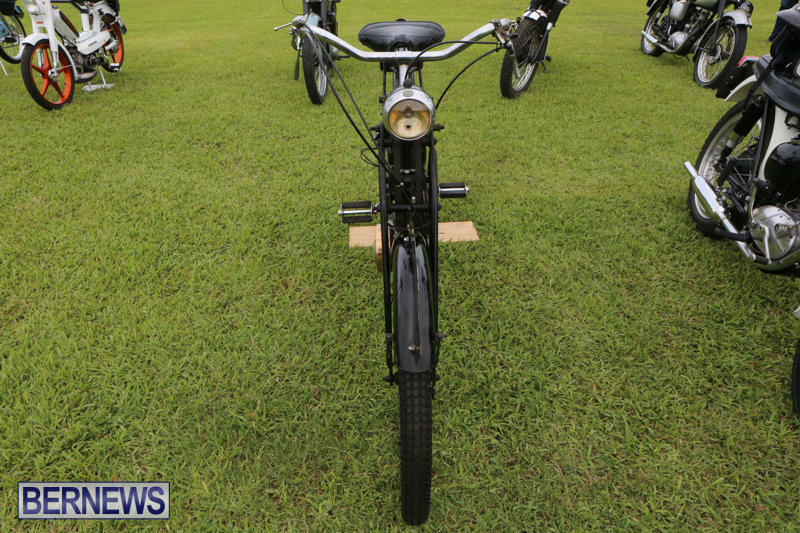 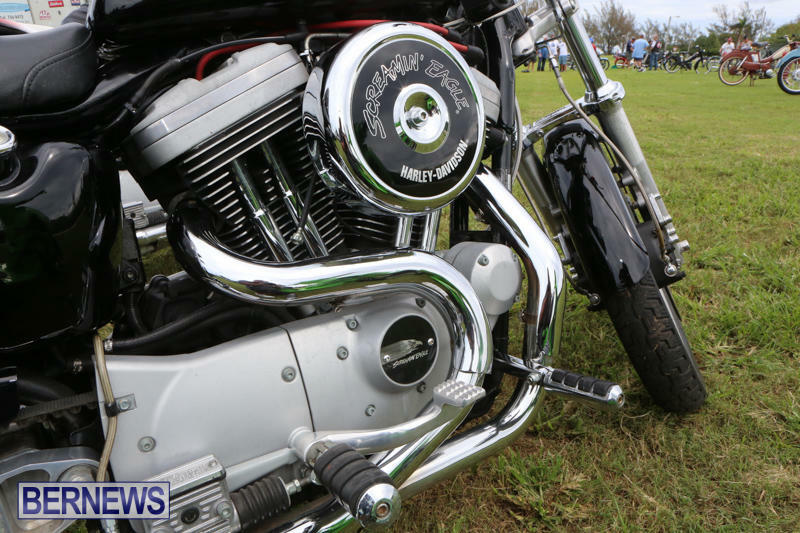 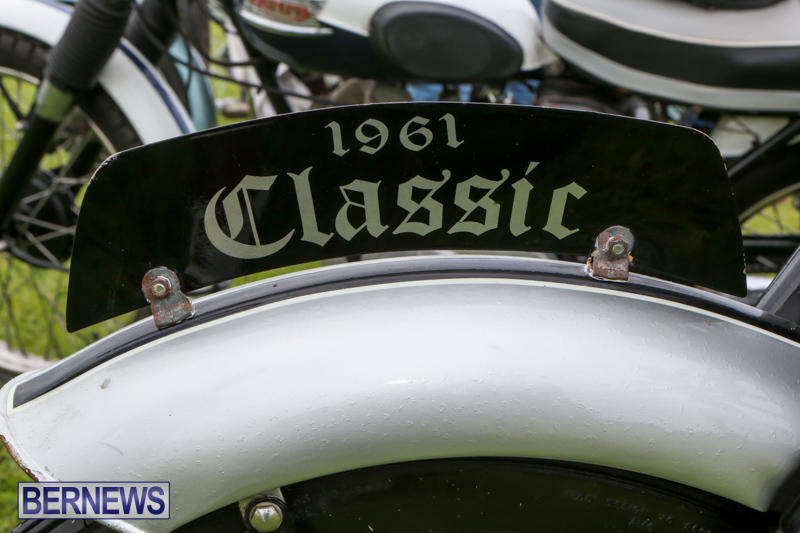 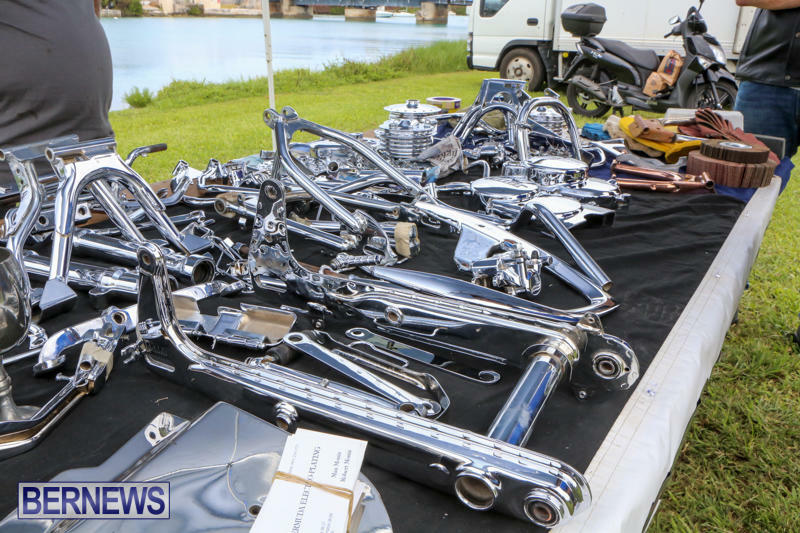 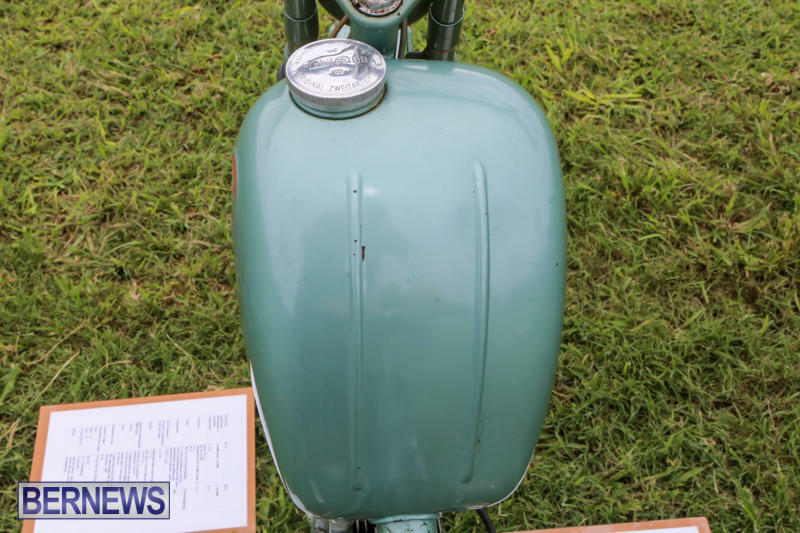 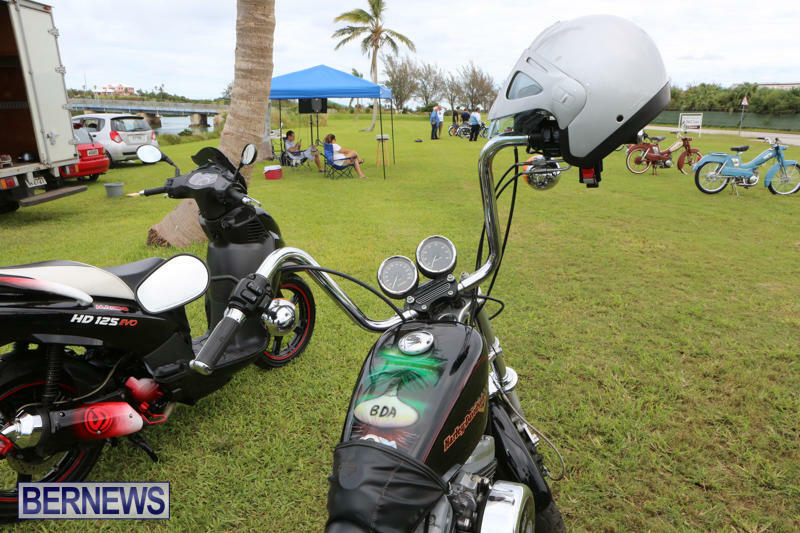 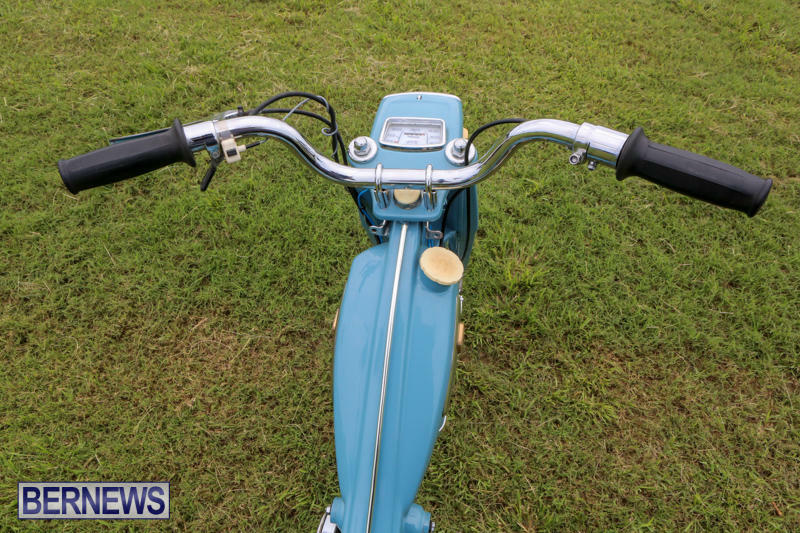 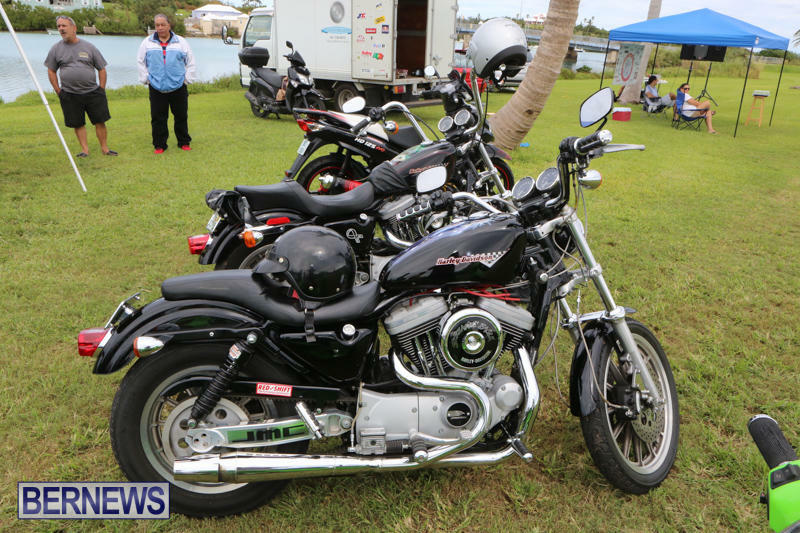 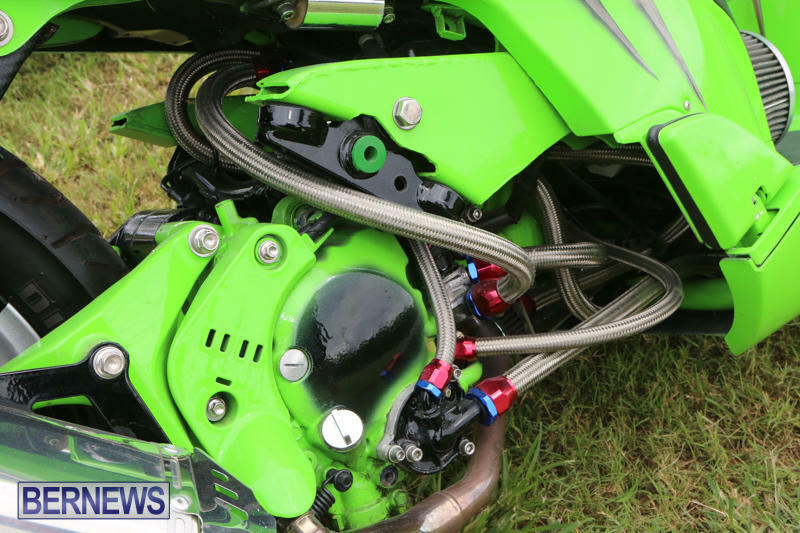 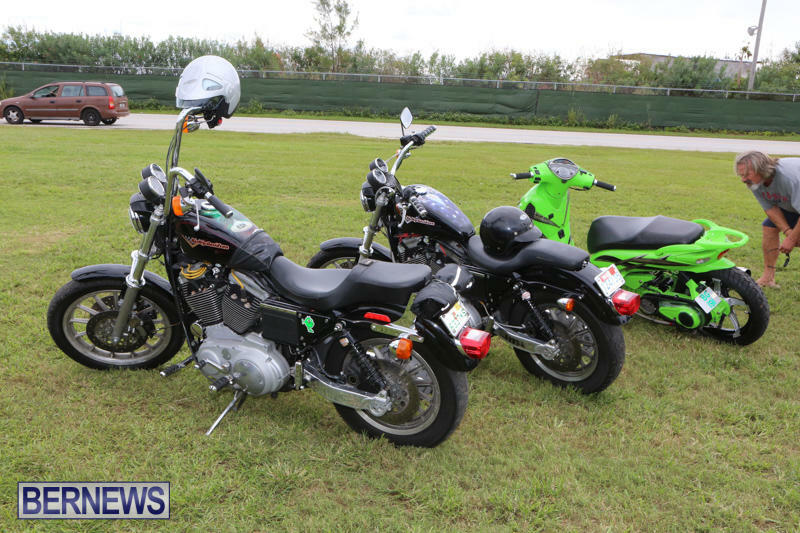 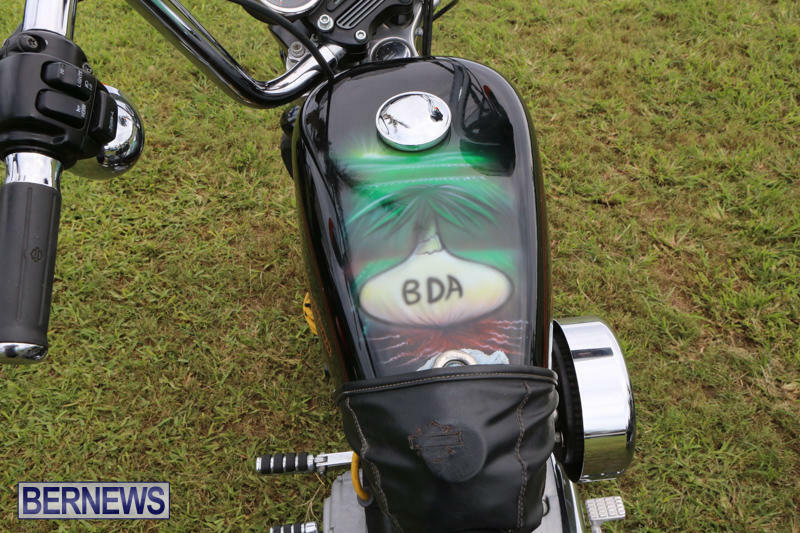 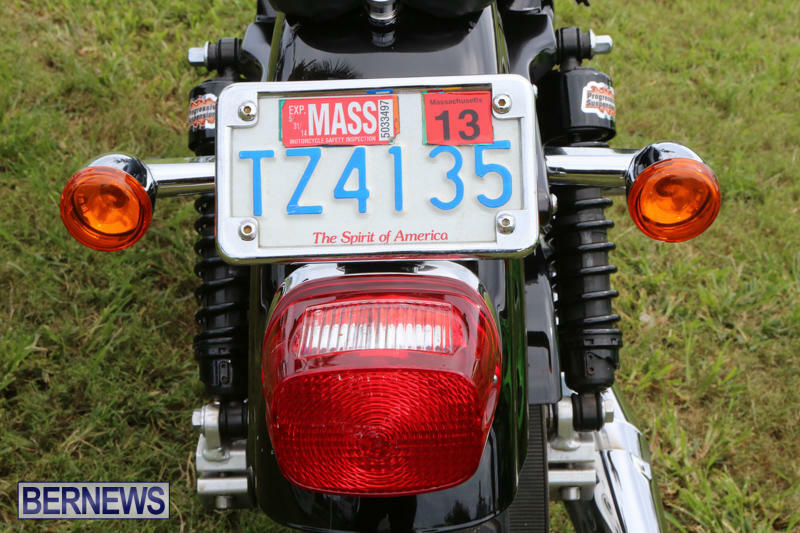 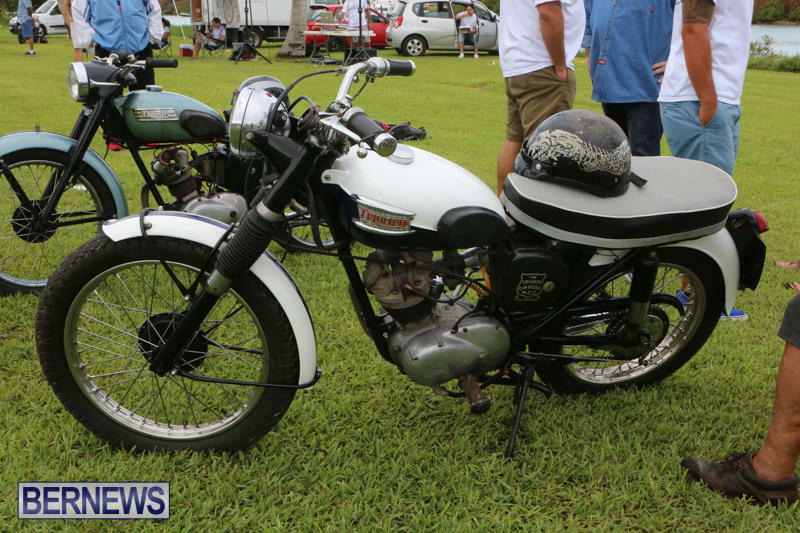 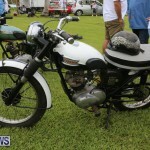 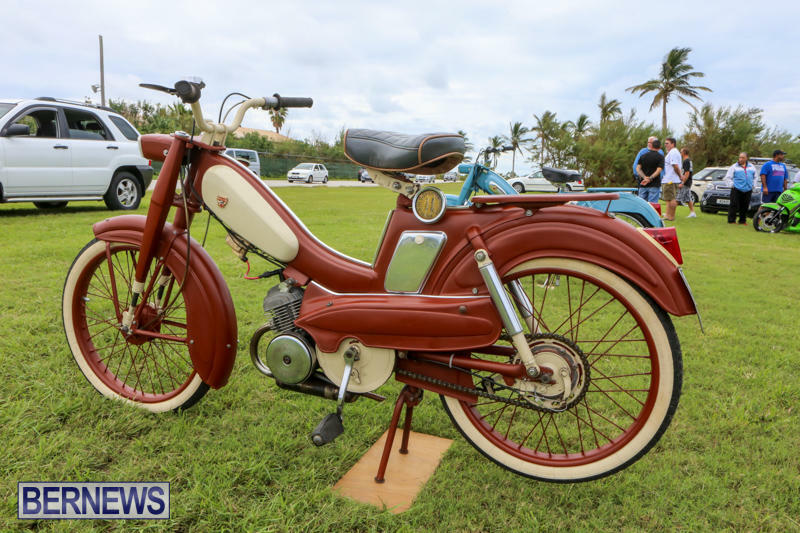 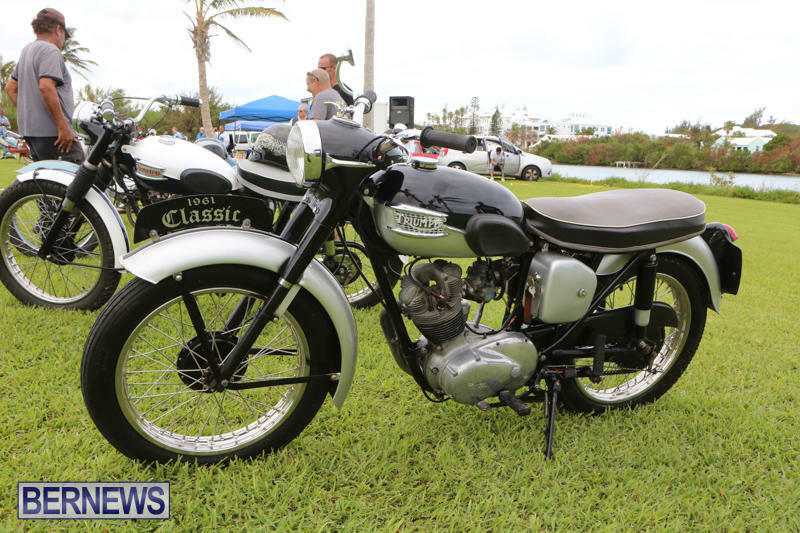 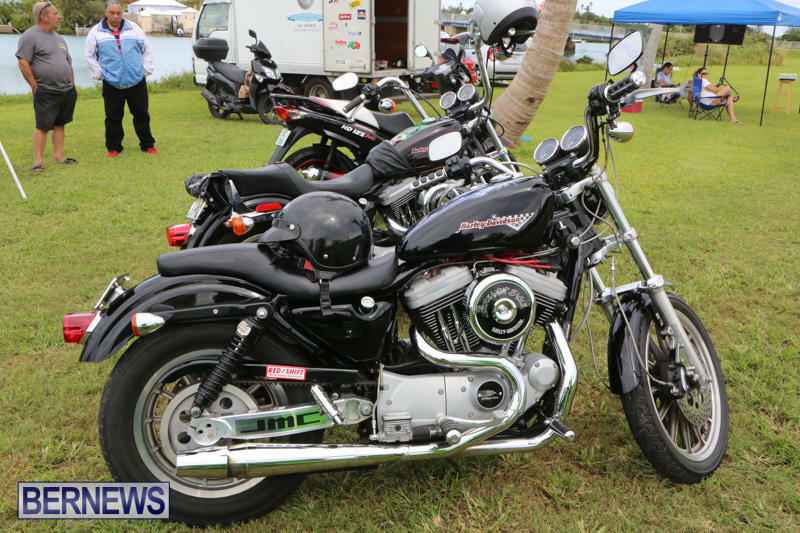 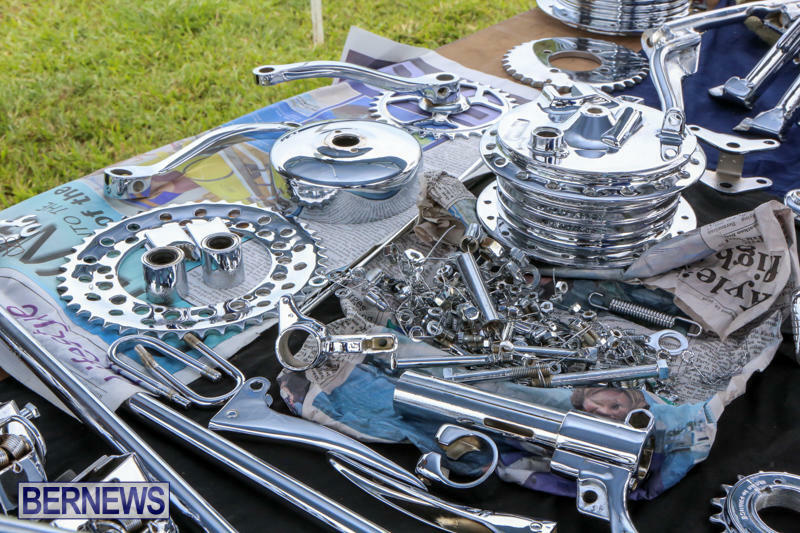 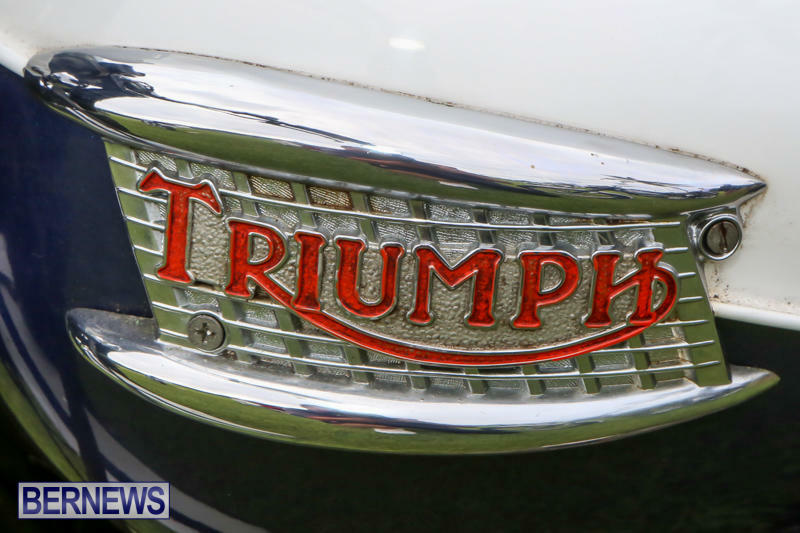 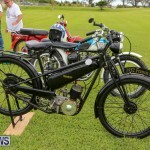 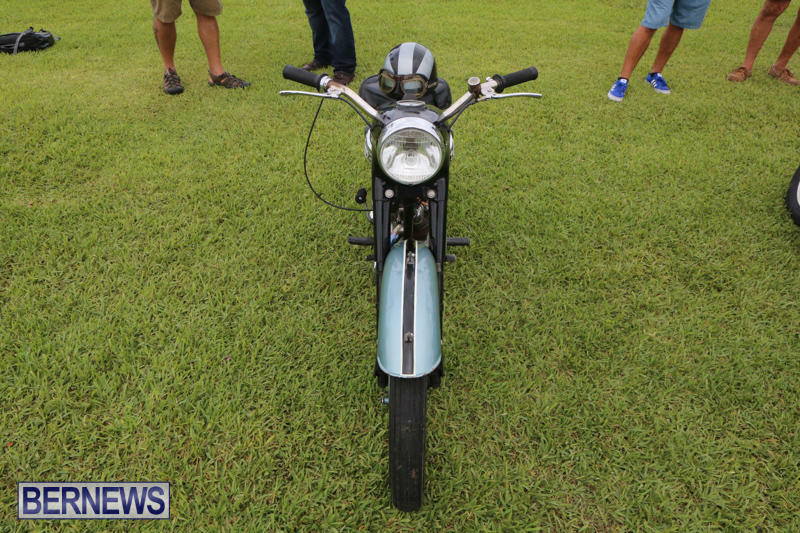 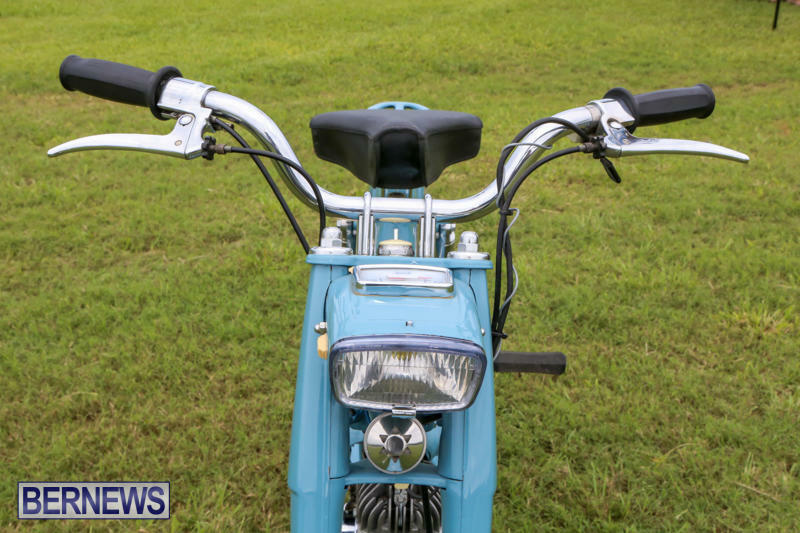 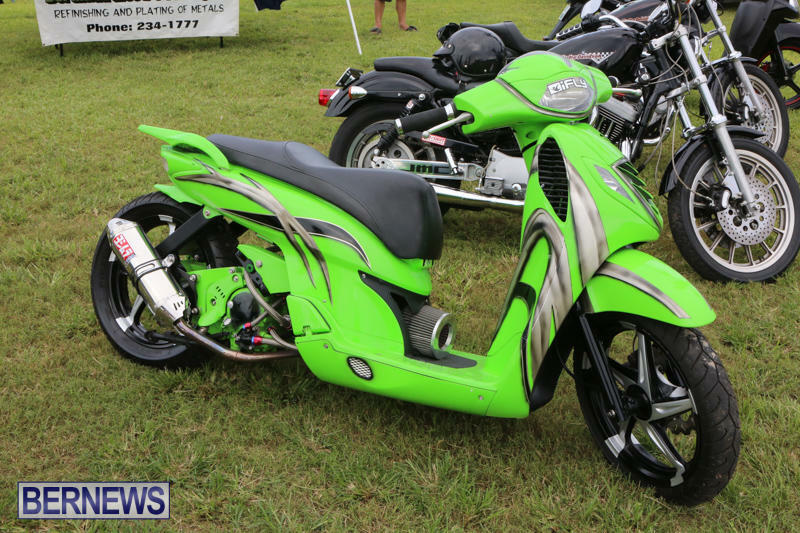 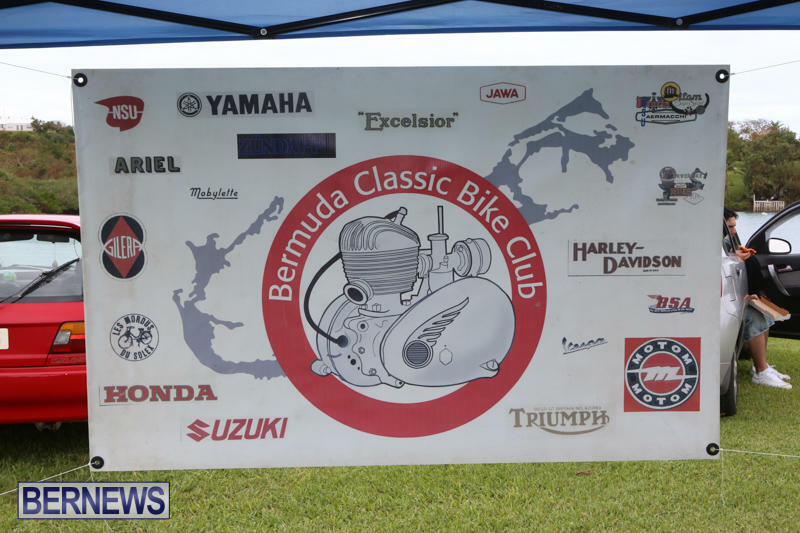 The Bermuda Classic Bike Club held their annual Bike Display on Saturday [Oct 11] at Kindley Field Road in St. George’s, with a range of motorcycles on display, including ones made back in the 1950′s. 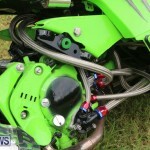 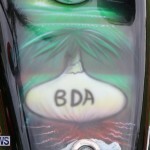 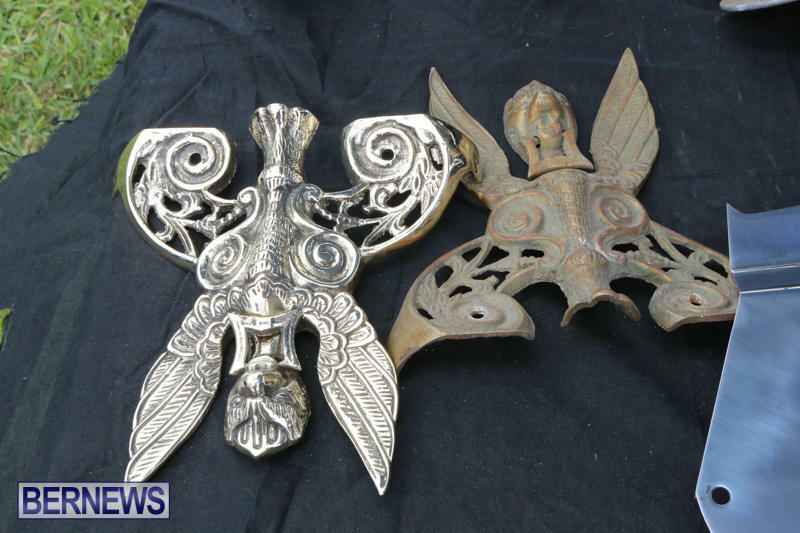 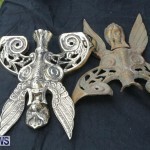 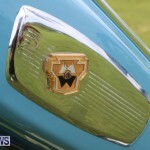 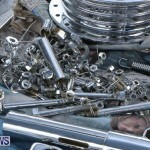 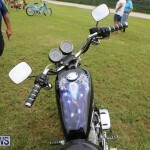 The Club’s Stephen Decosta said, “This is something that we put on every year, this is the third year we’ve put it on. 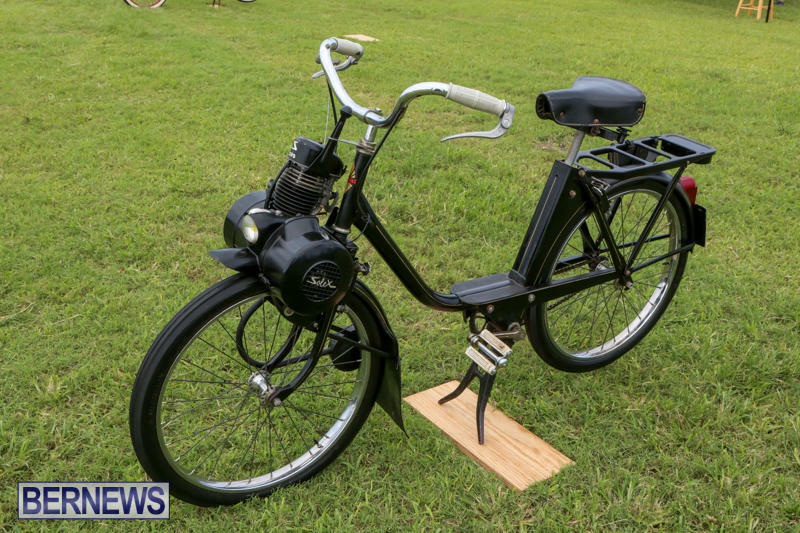 “It used to be, way back in the 1970s and 80s, guys used to come down and do a bike display, so we thought we’d reinvent it again. 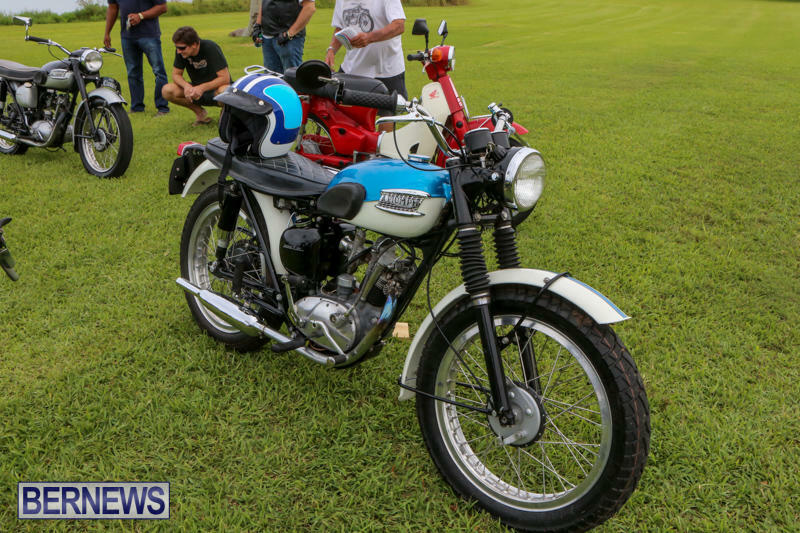 It’s open to anybody that’s got motorcycles, from vintage, to custom, to current bikes, whatever you’ve got; even dealers want to come down and display their bikes. 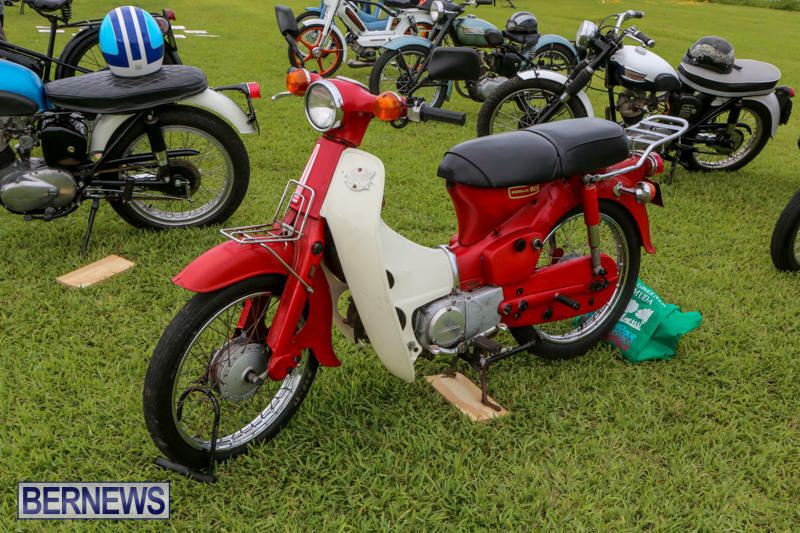 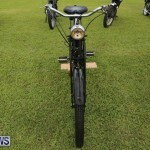 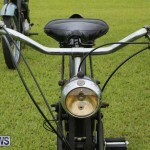 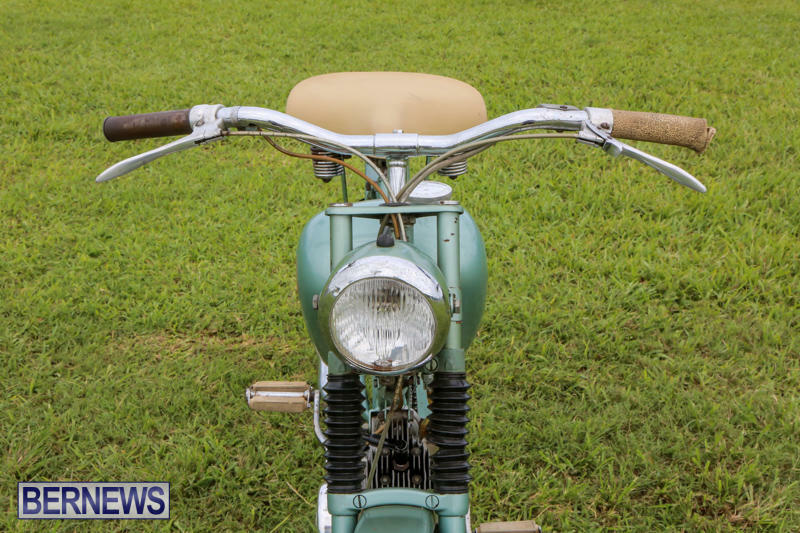 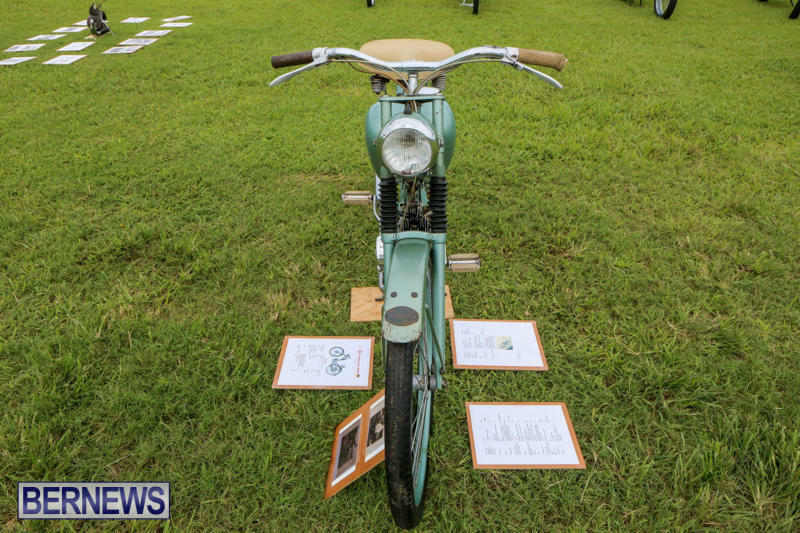 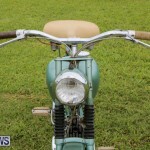 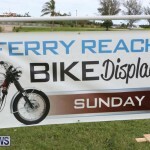 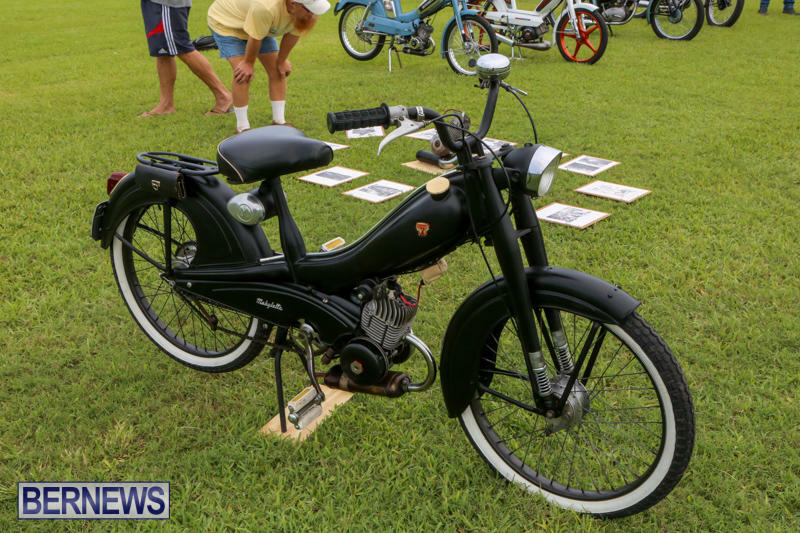 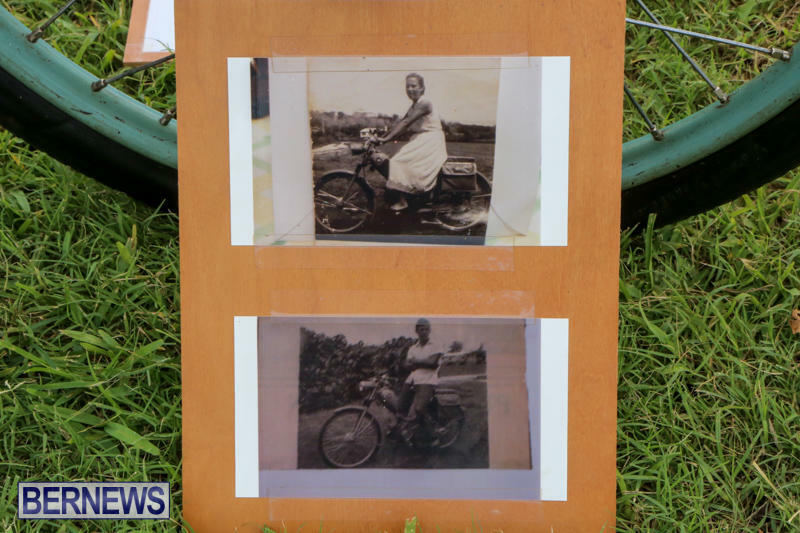 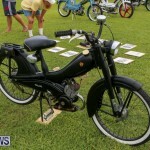 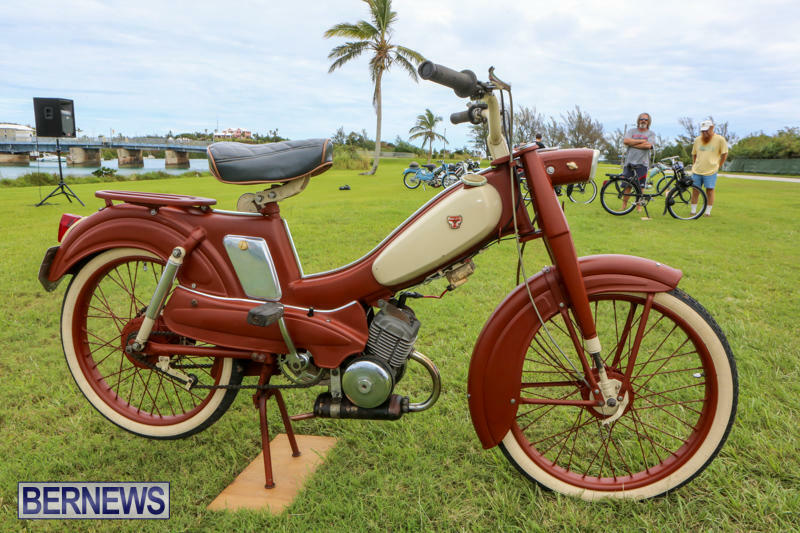 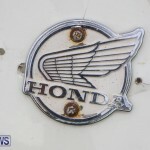 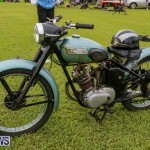 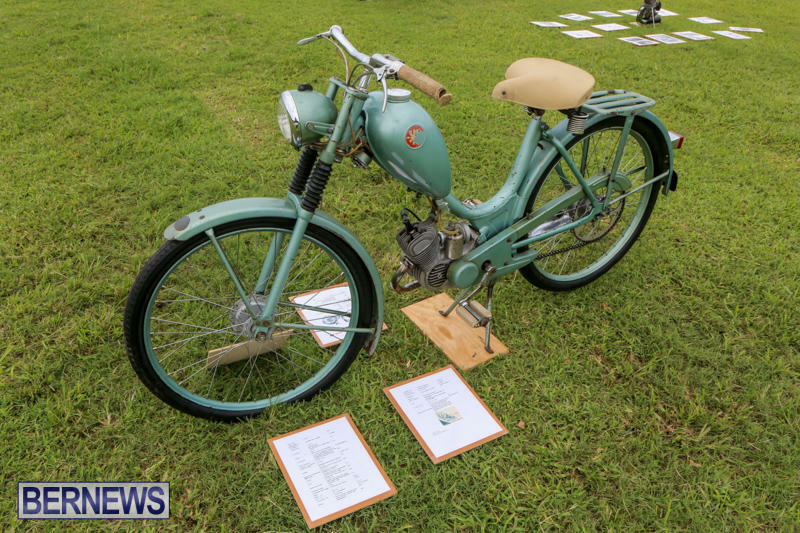 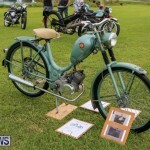 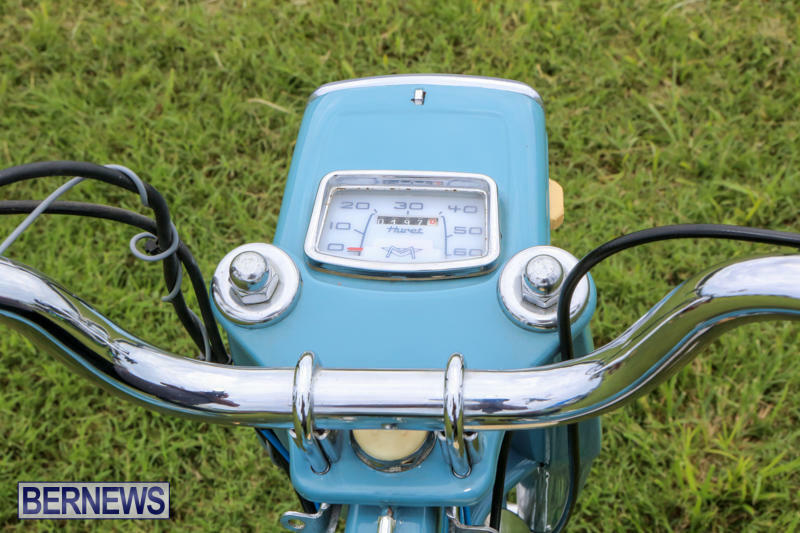 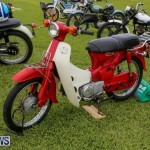 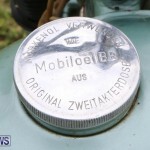 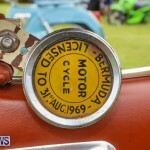 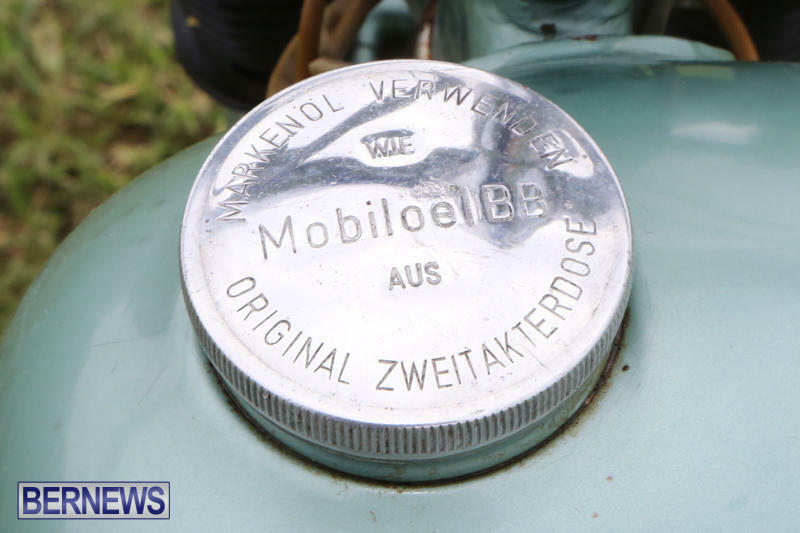 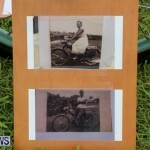 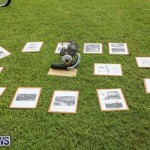 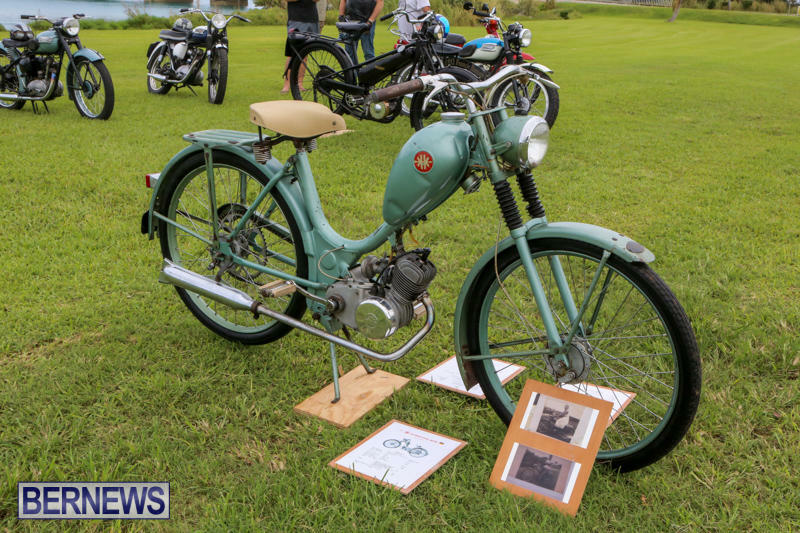 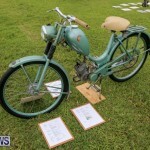 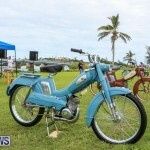 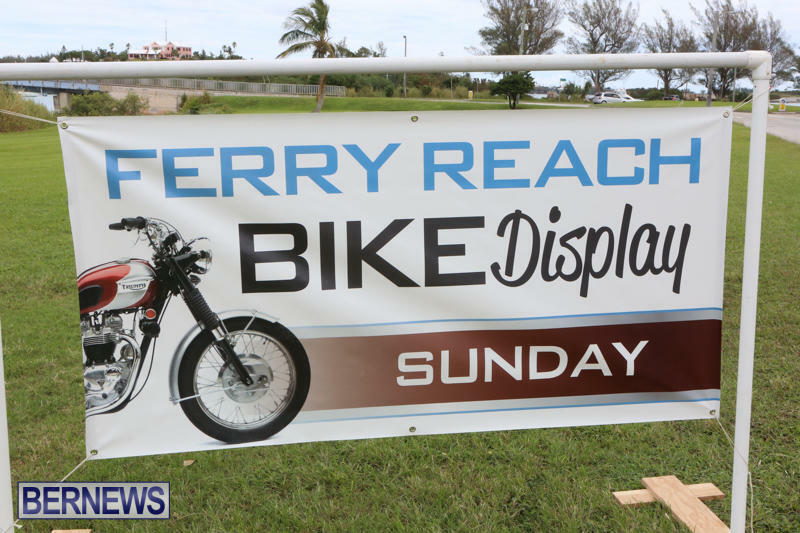 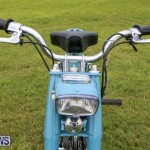 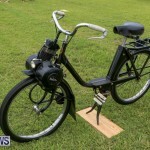 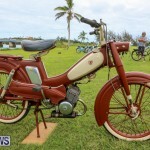 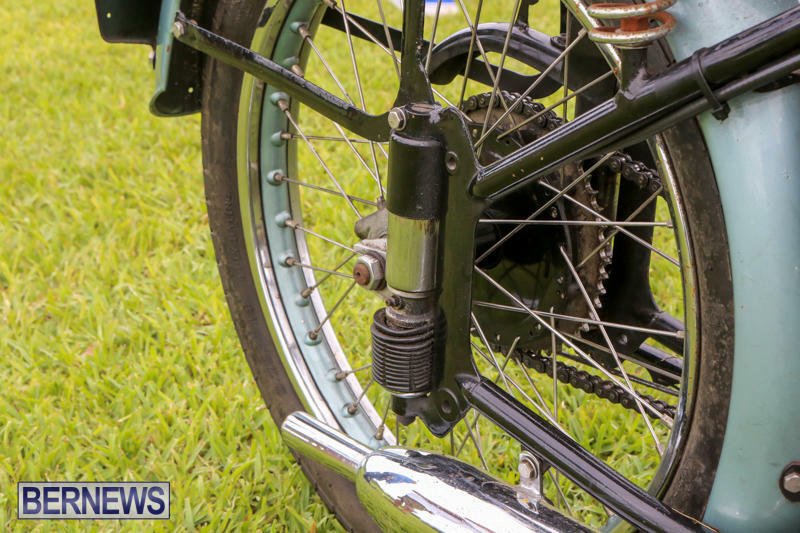 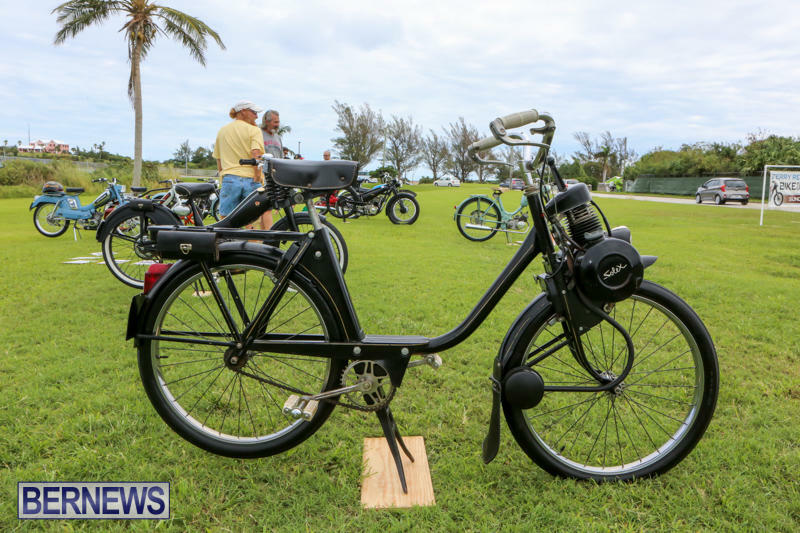 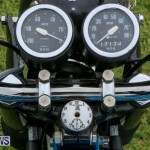 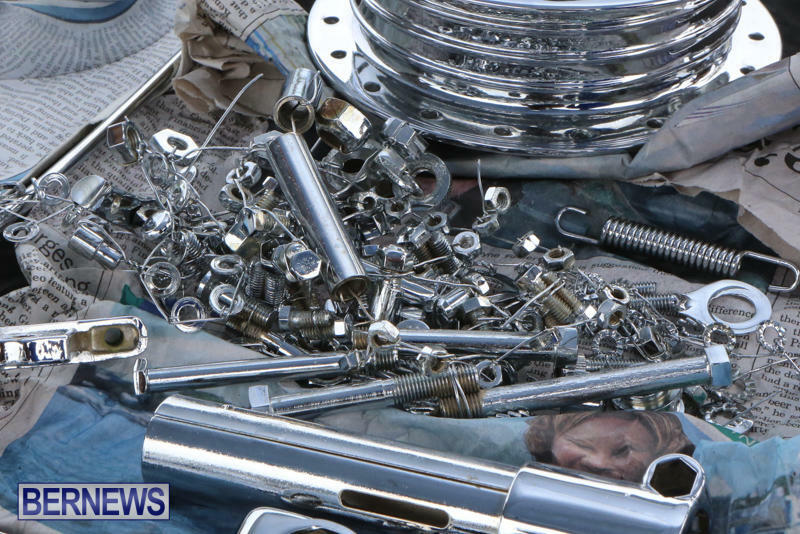 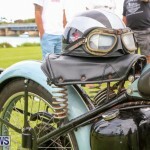 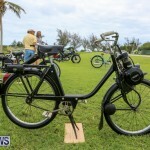 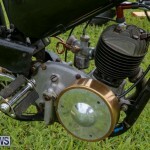 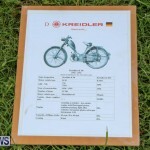 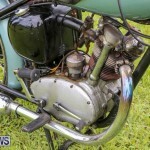 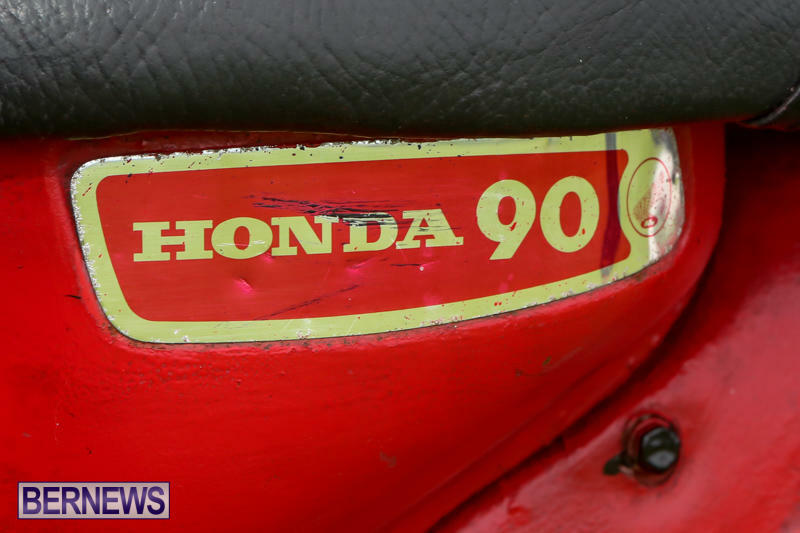 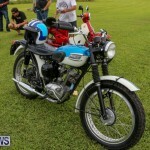 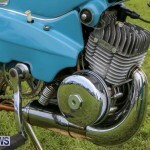 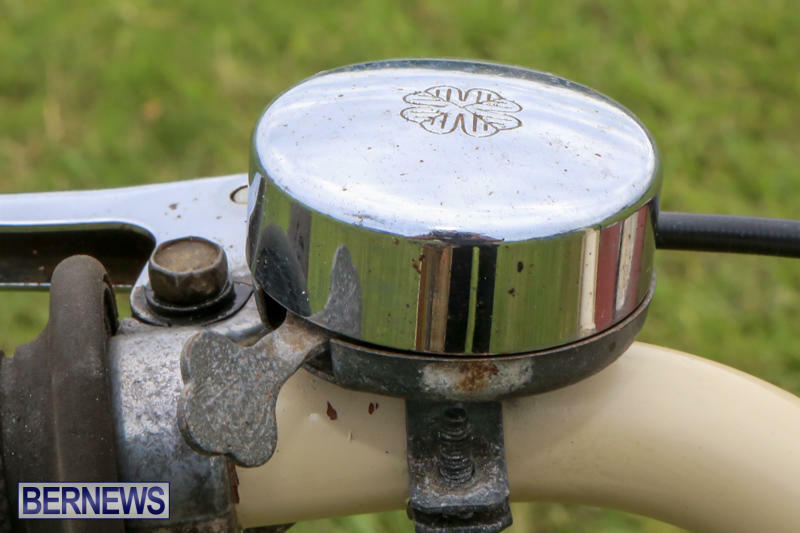 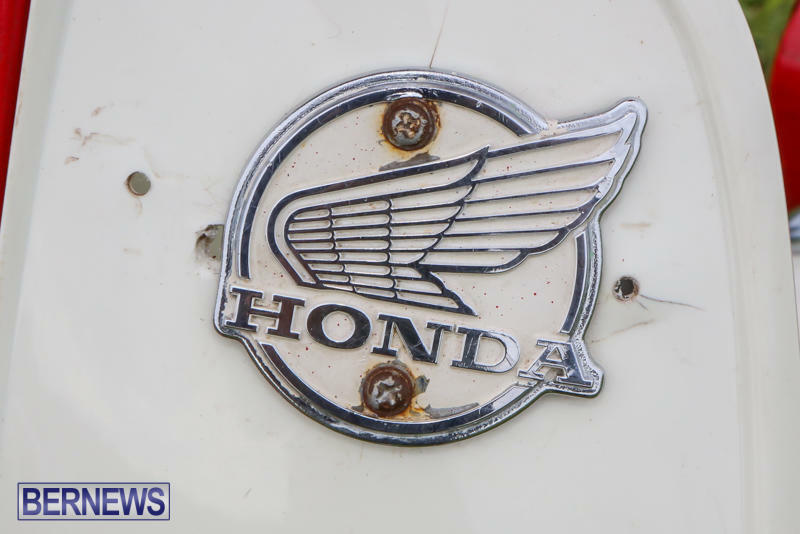 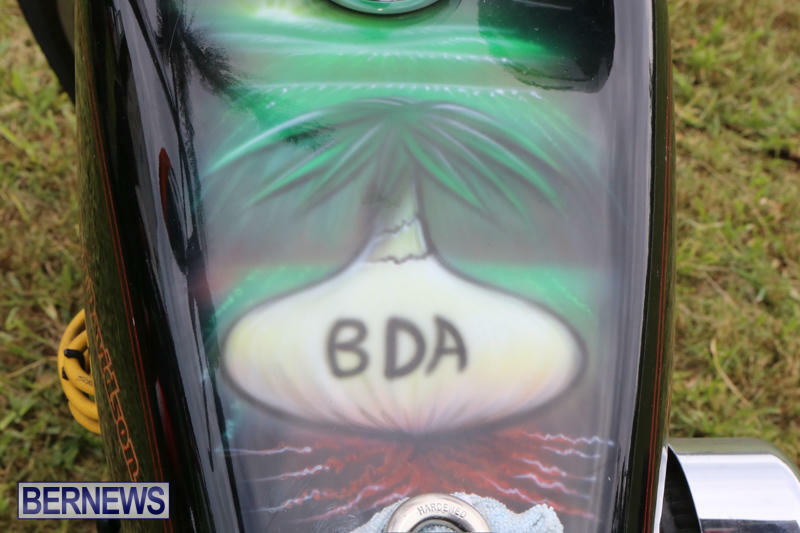 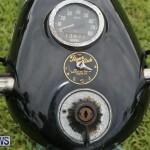 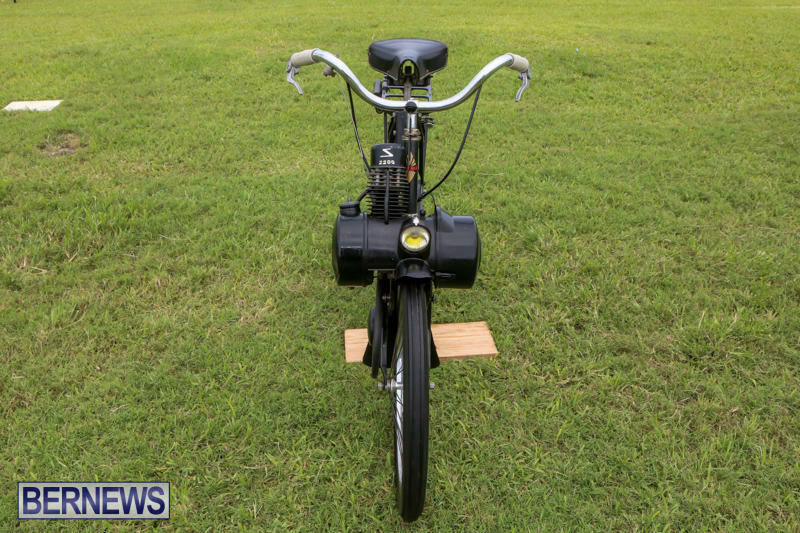 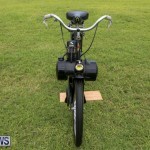 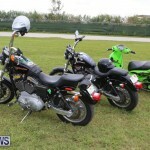 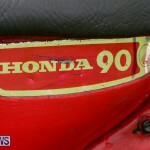 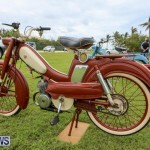 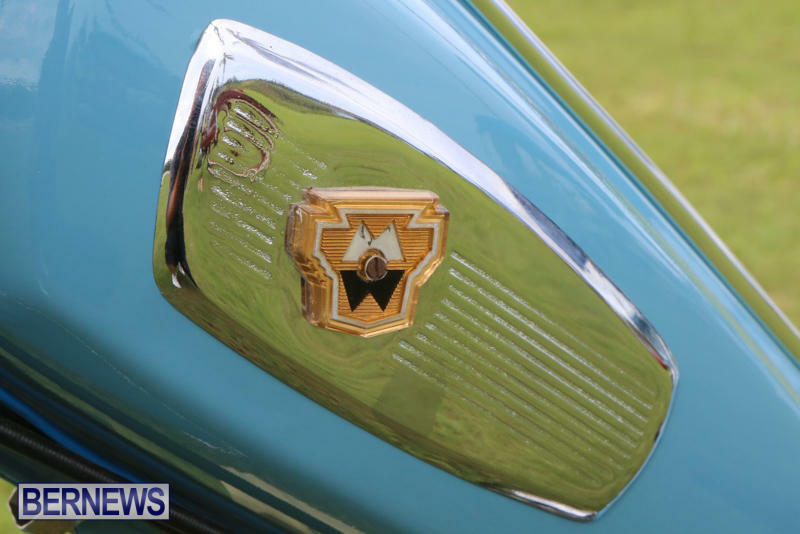 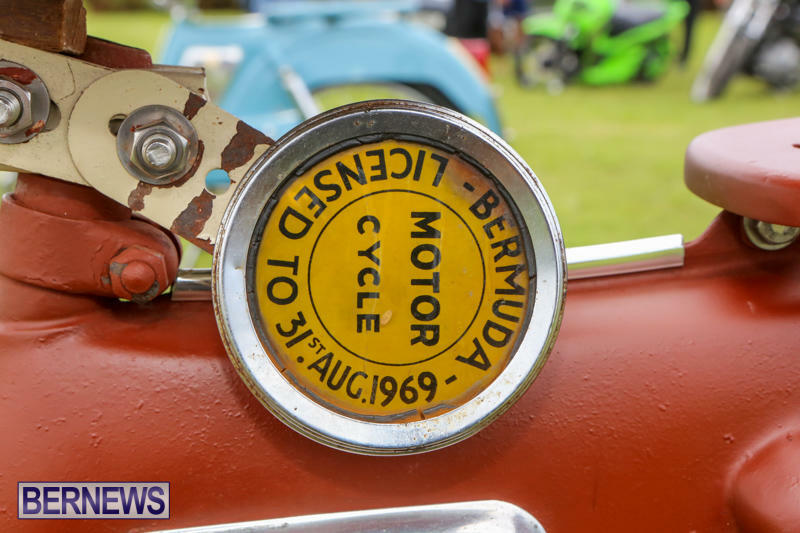 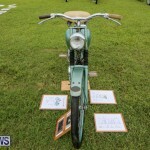 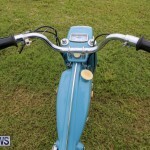 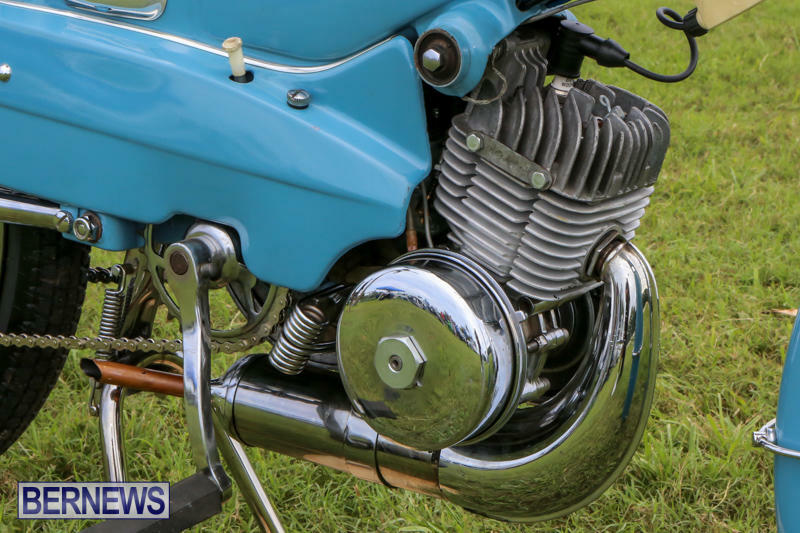 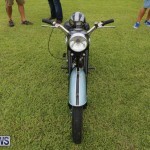 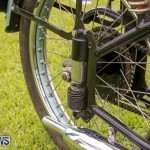 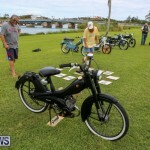 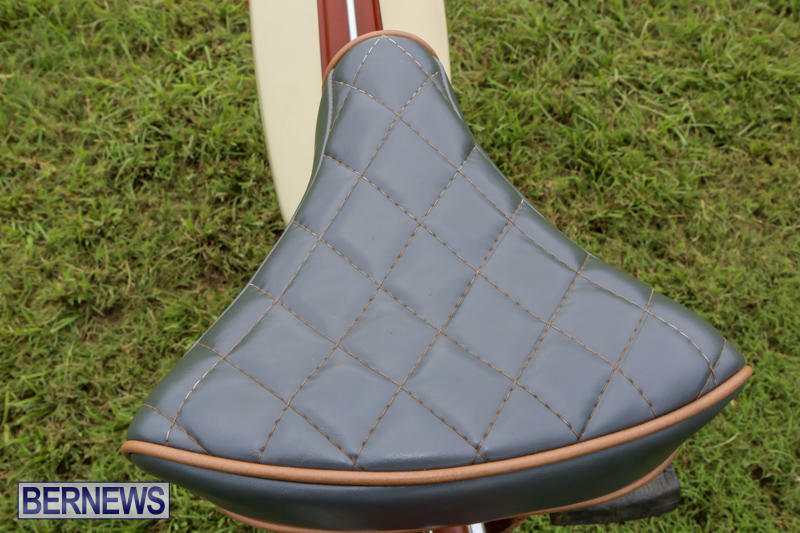 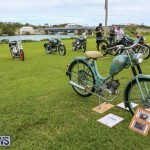 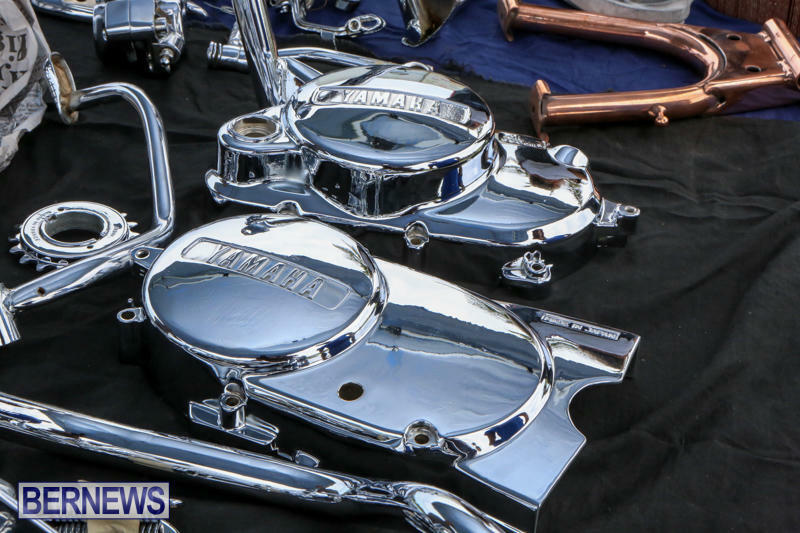 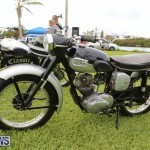 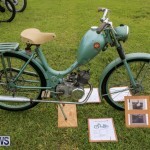 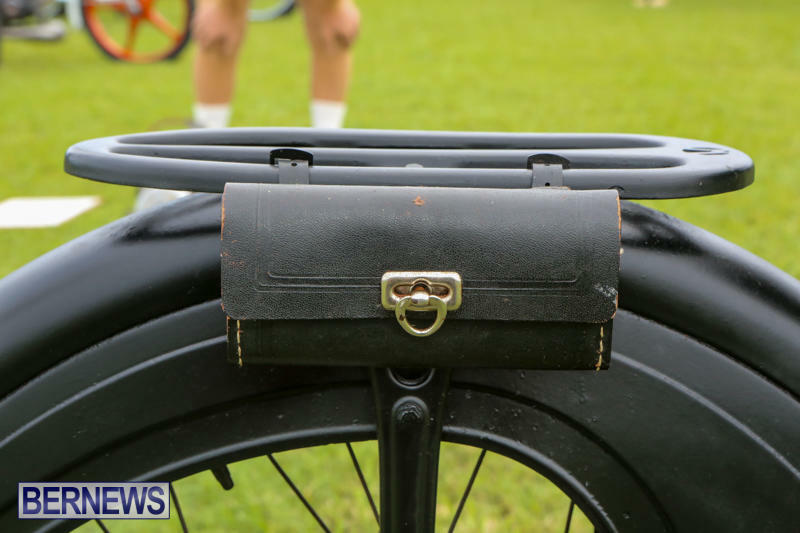 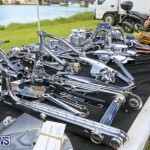 When asked about the older bikes, Mr. Decosta told Bernews, “Quite a few of the older bikes that are here today are local Bermuda bikes, some of them are brought in from abroad, and we restore them; some of them are left as is. 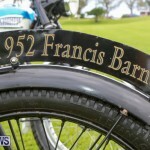 “My bike that I have, the Air Francis-Barnett, that’s a 1952 model. 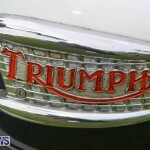 My wife got that out of England back in the 1990s. 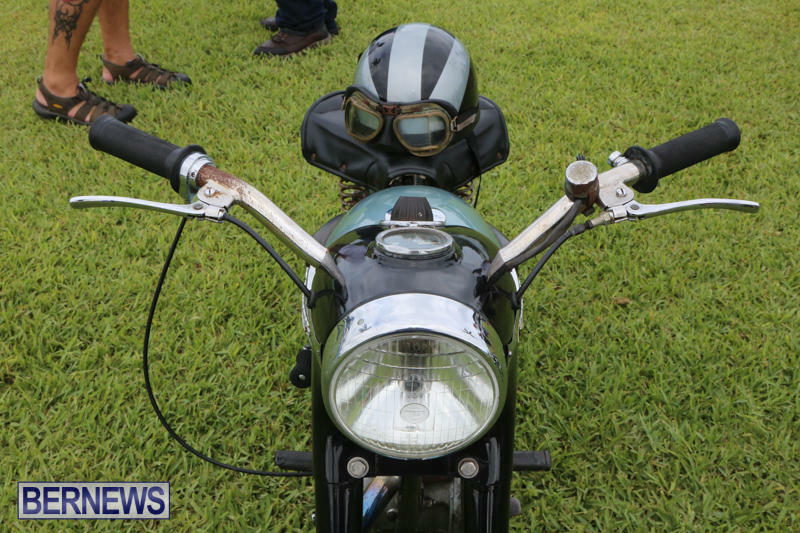 “We just love collecting bikes. 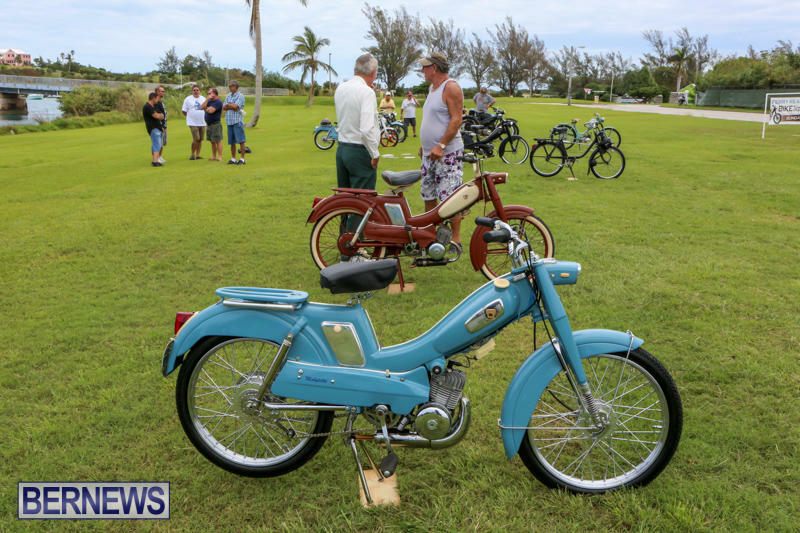 Unfortunately, a lot of the old Bermuda bikes were lost back in the day because of corrosion, and you can’t keep them stored up in a shed somewhere, because corrosion will eat the metal right up, so a lot of guys resort now to bringing bikes to Bermuda, and just customize them or leave them as is. 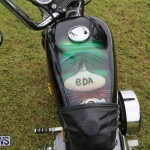 That’s what we do. 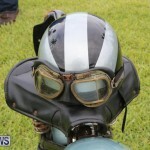 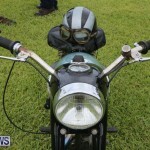 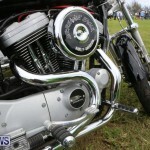 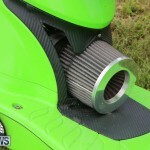 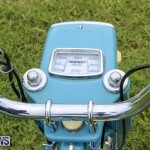 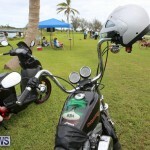 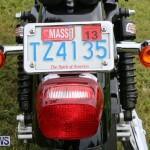 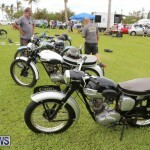 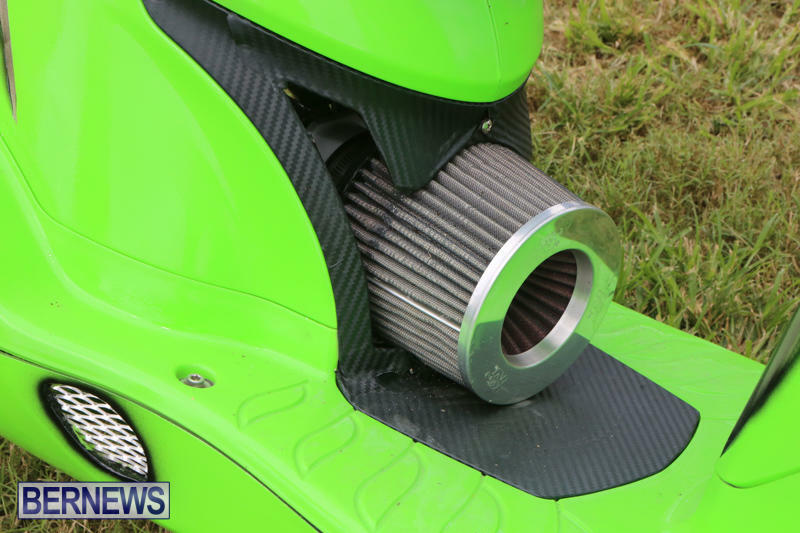 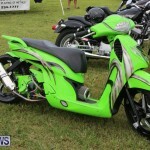 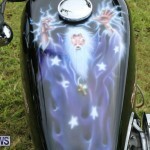 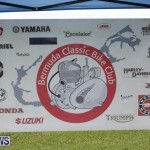 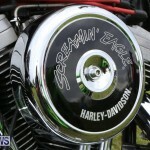 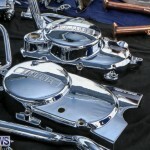 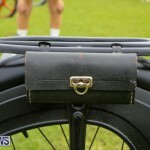 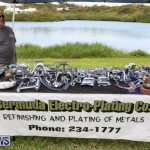 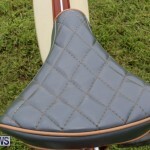 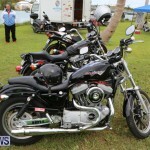 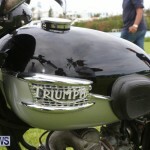 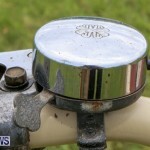 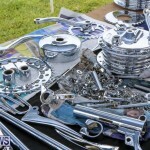 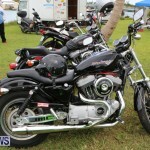 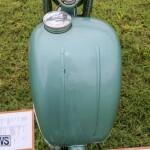 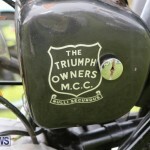 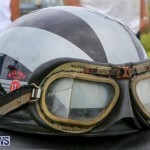 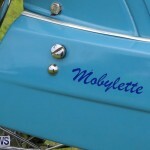 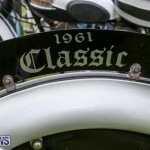 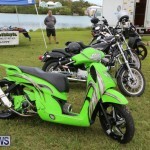 To learn more about the Bermuda Classic Bike Club, visit their website. 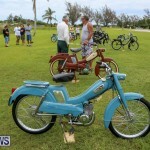 I wasn’t aware there are bikes being produced in Bermuda.